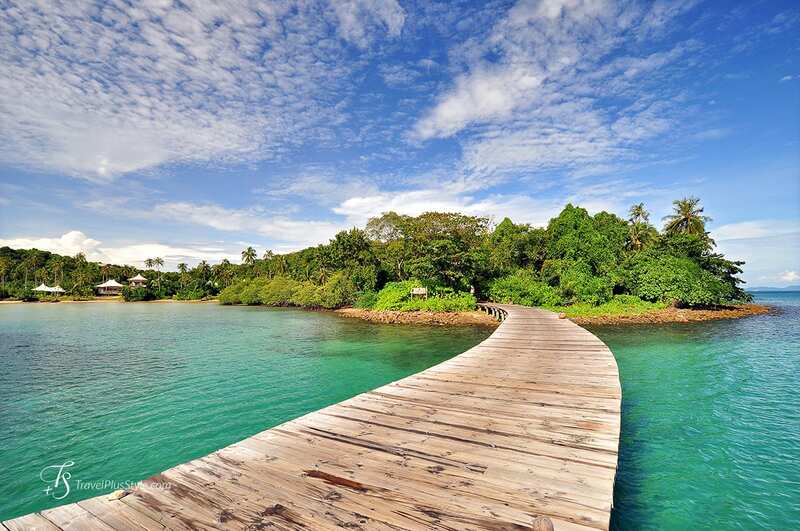 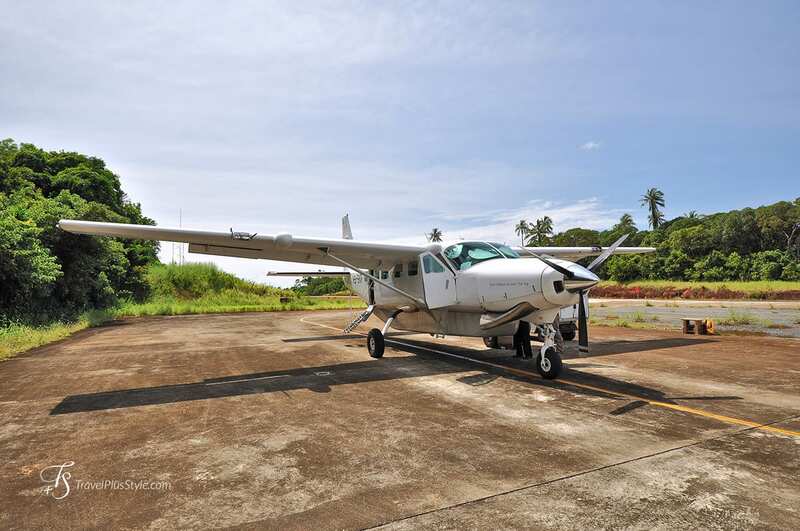 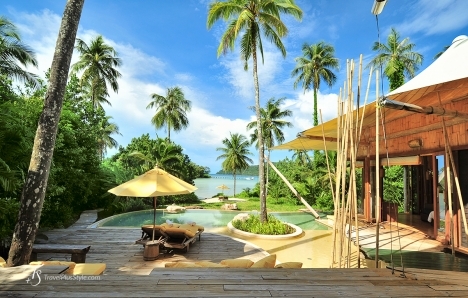 We knew this was going to be special, but the real discovery was that Soneva Kiri is more than a luxury resort. 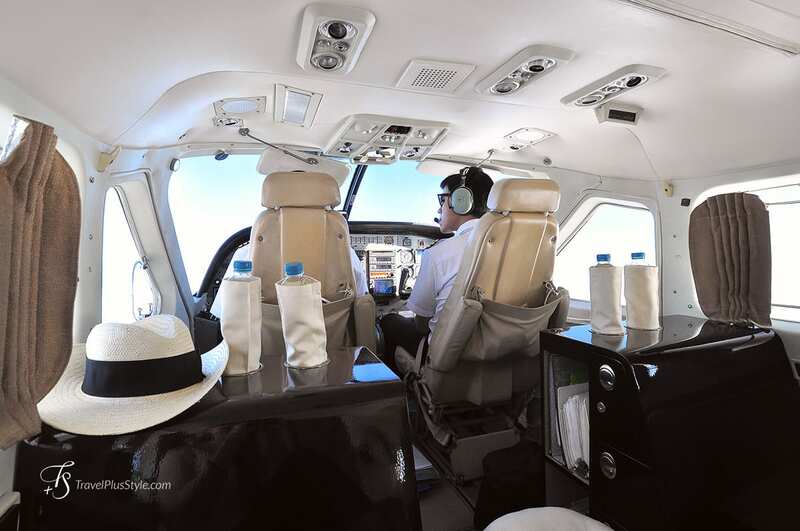 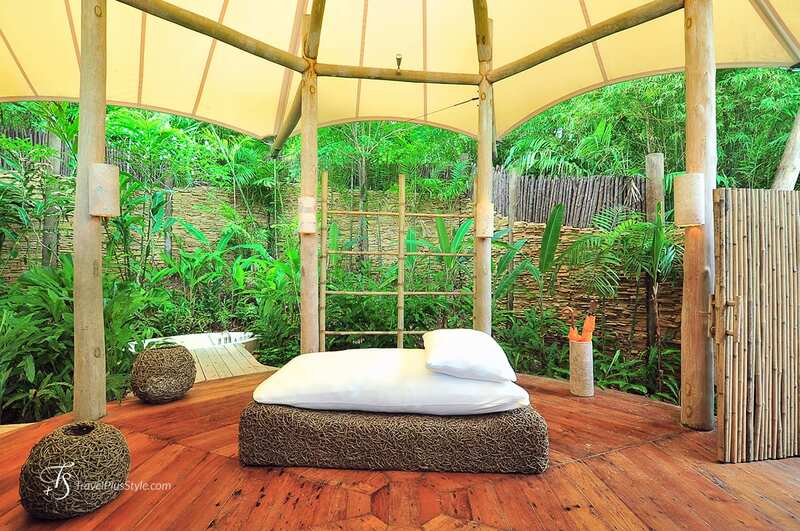 Visiting it was a little like tasting an entirely new way of life, organised around a philosophy of being at one with nature—without forgoing any of the modern-life comforts. 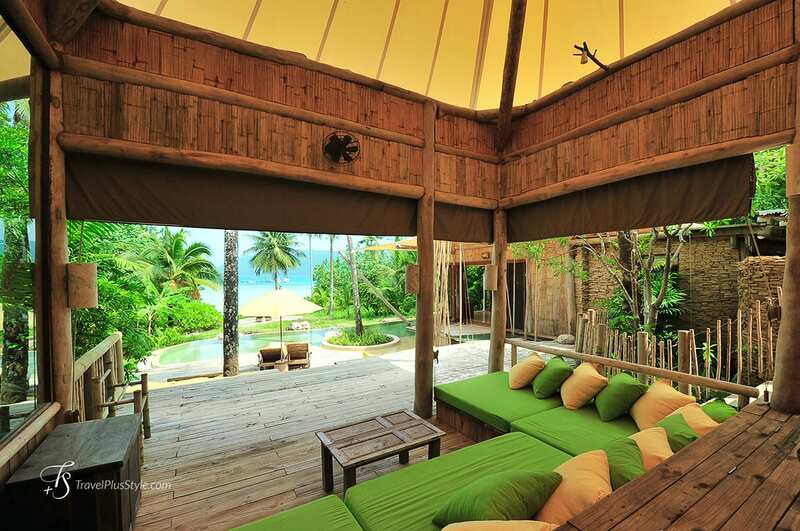 Soneva Kiri is in its own league when comes to the level of service—it creates a very special sense of inner tranquility. 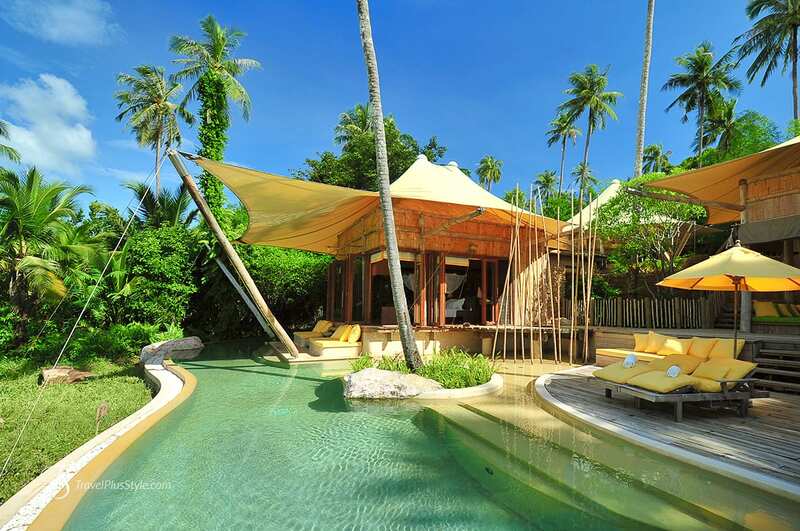 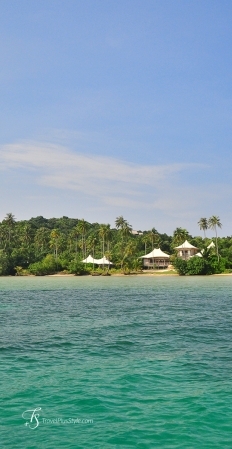 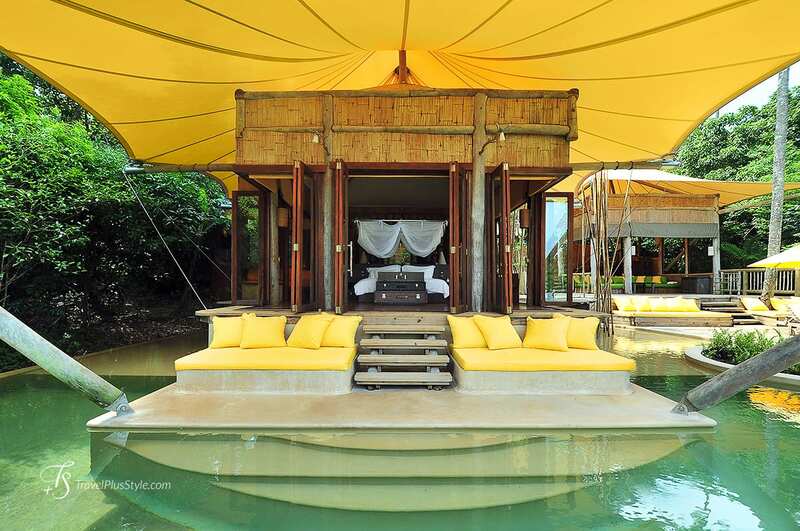 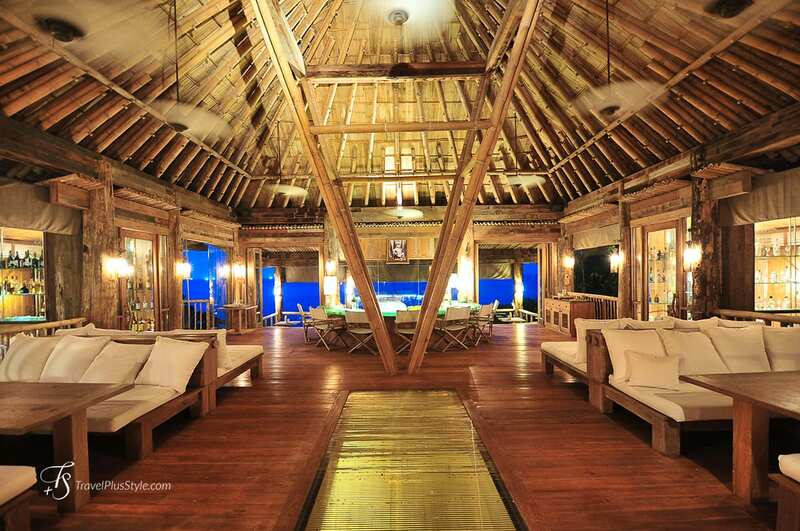 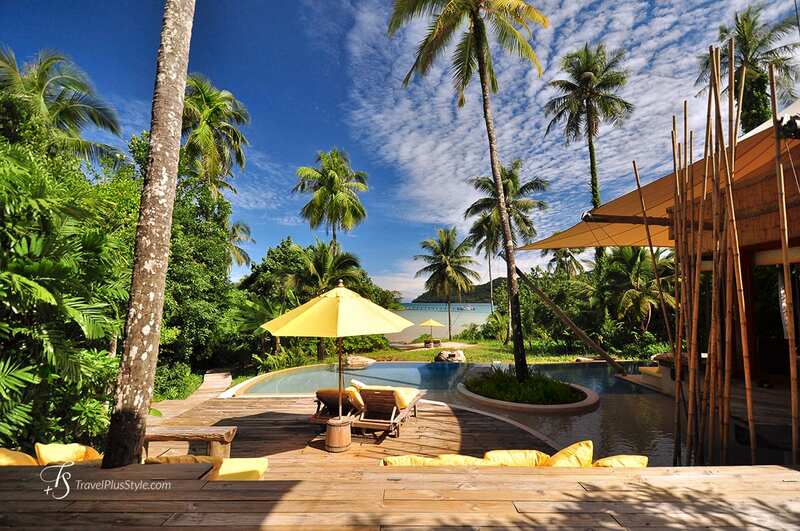 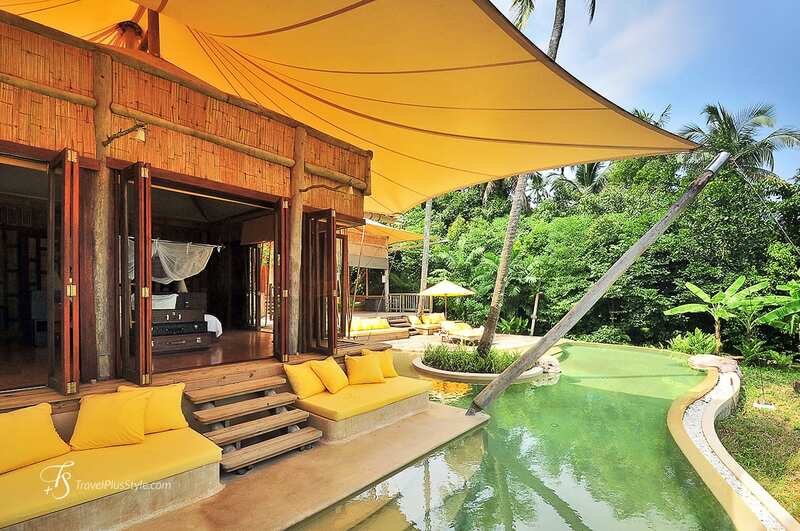 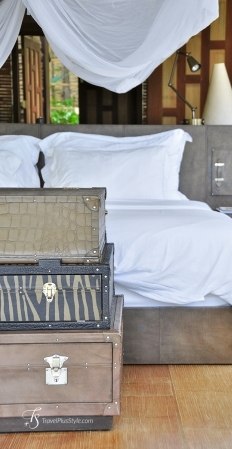 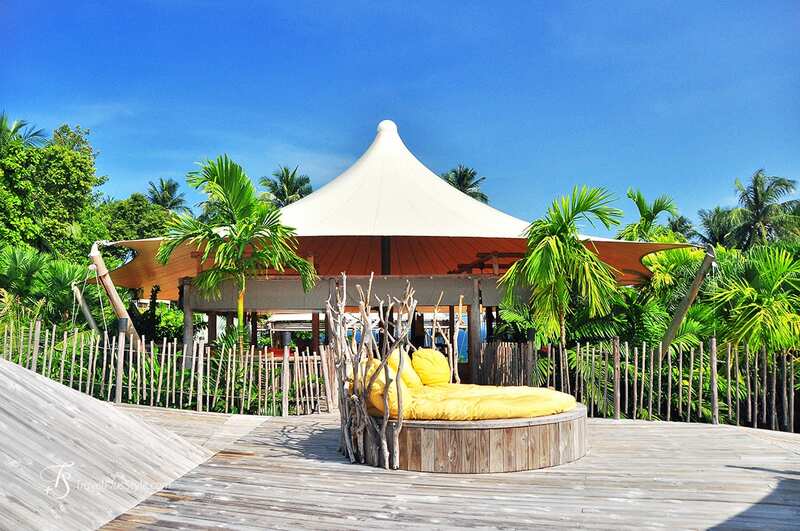 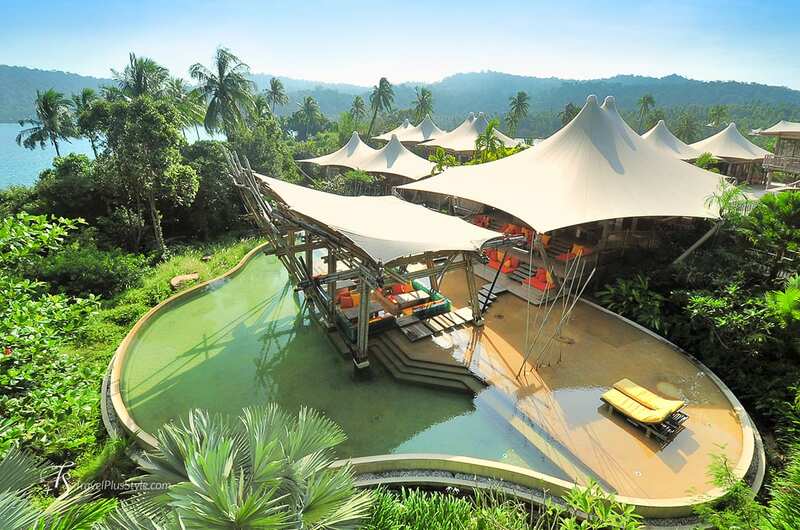 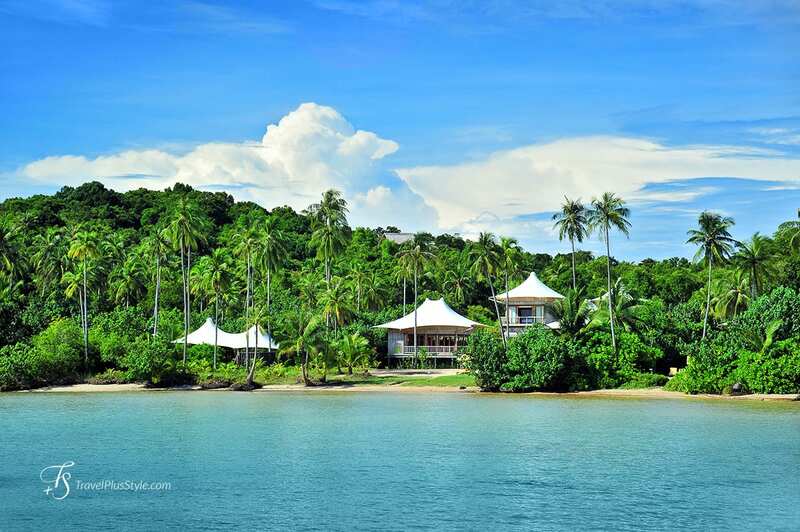 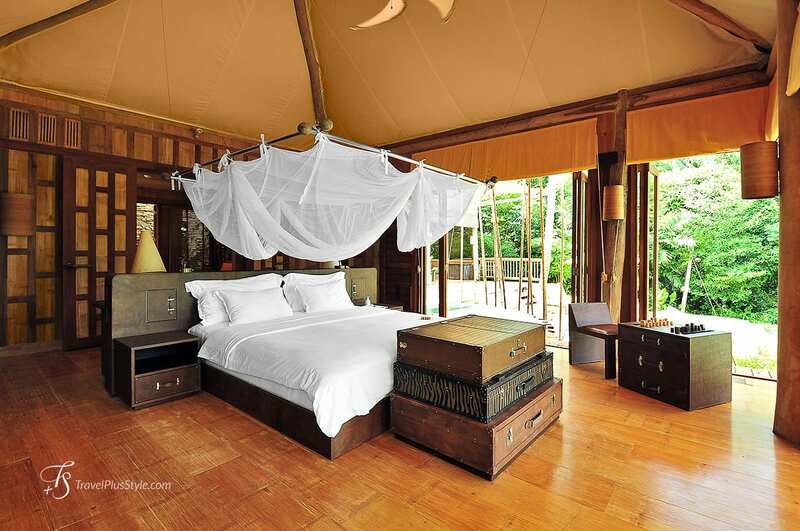 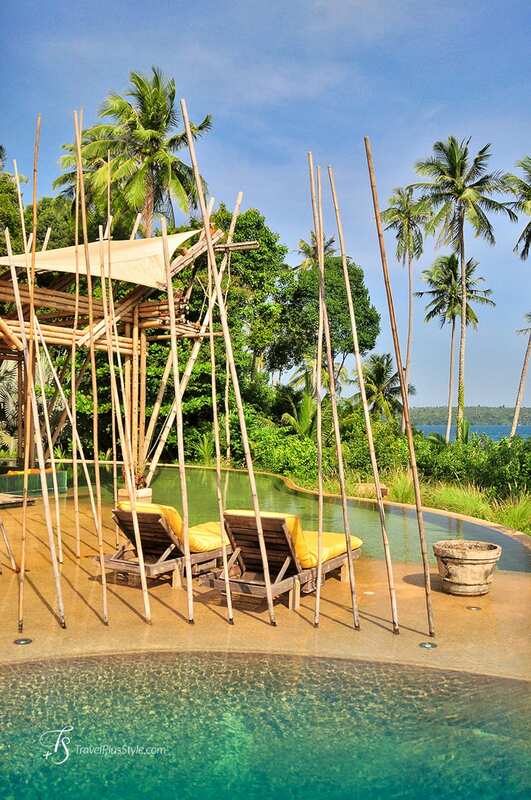 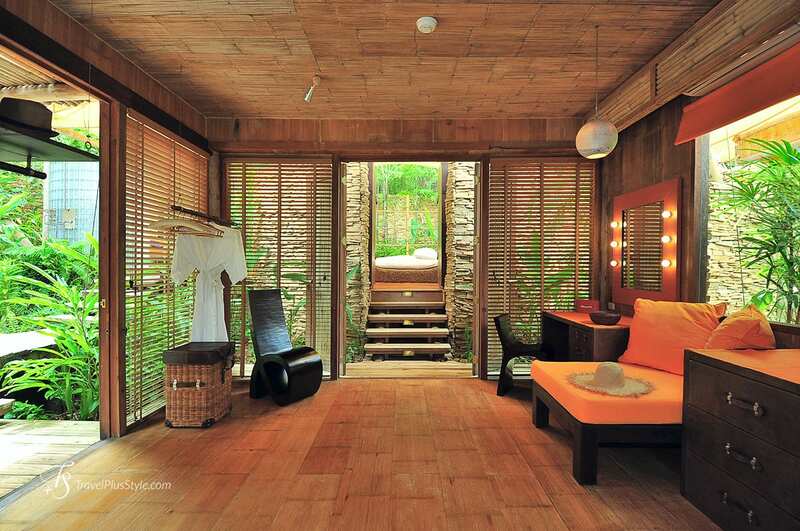 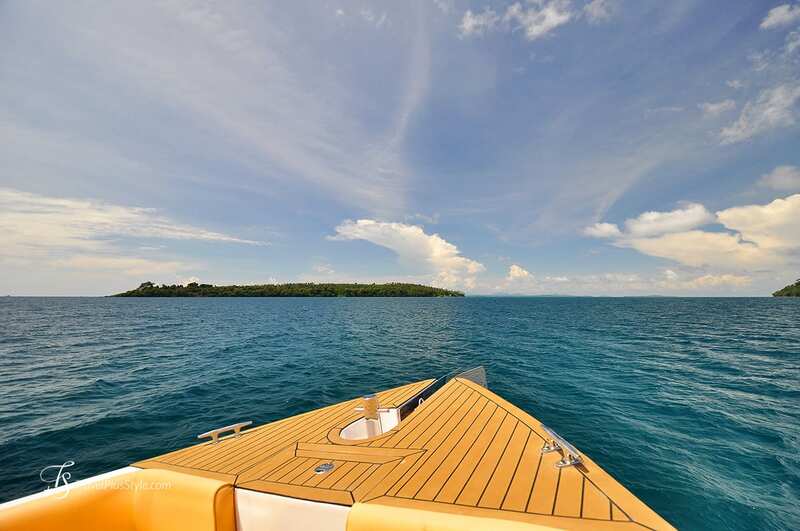 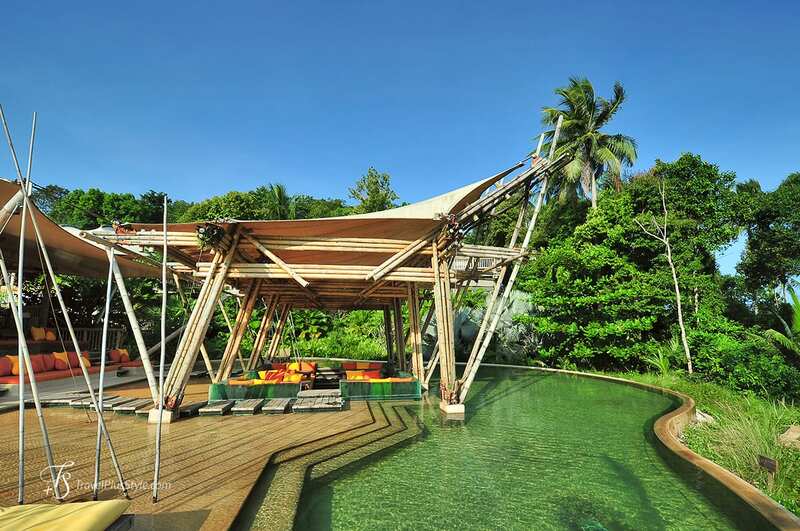 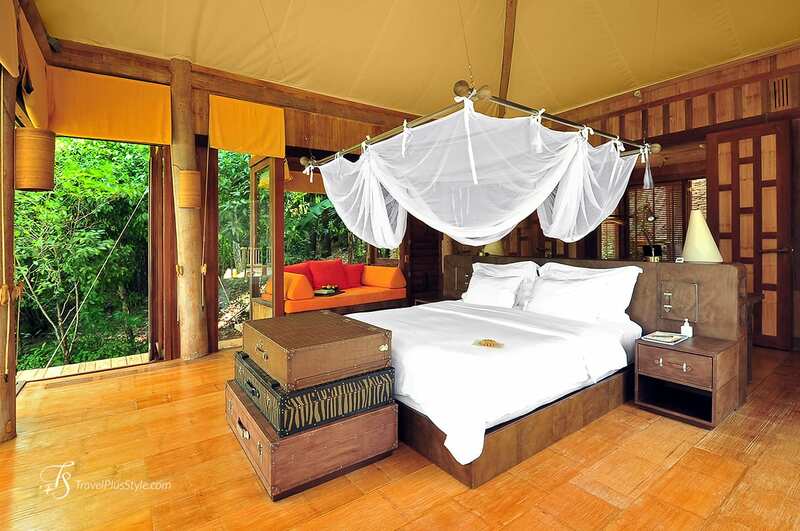 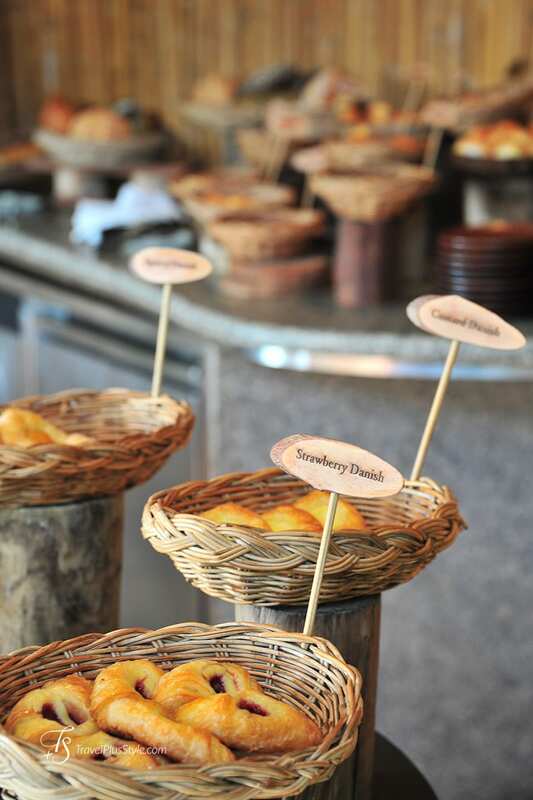 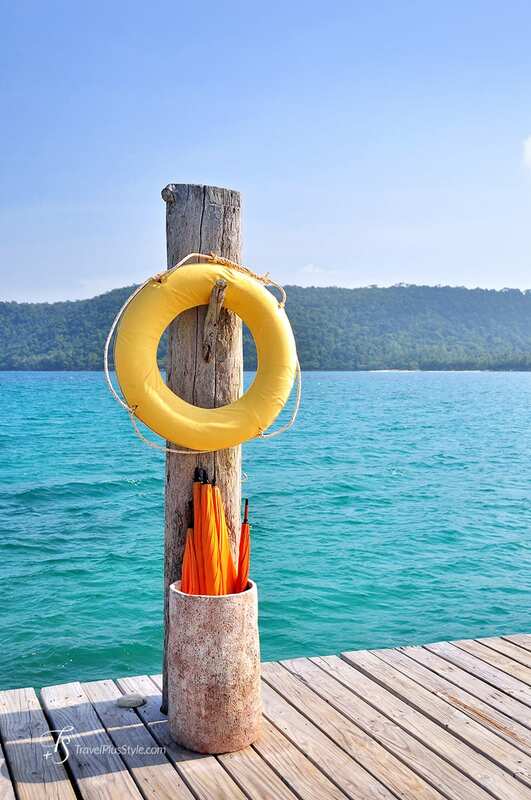 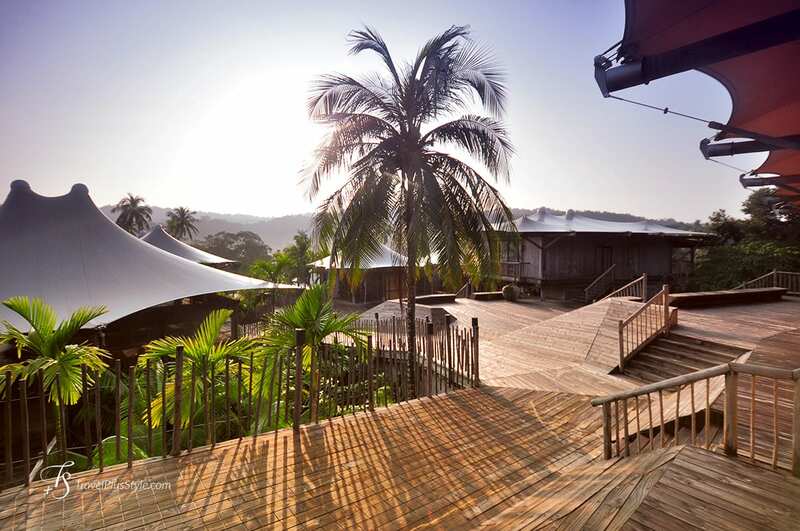 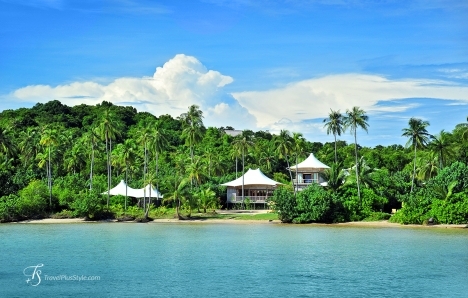 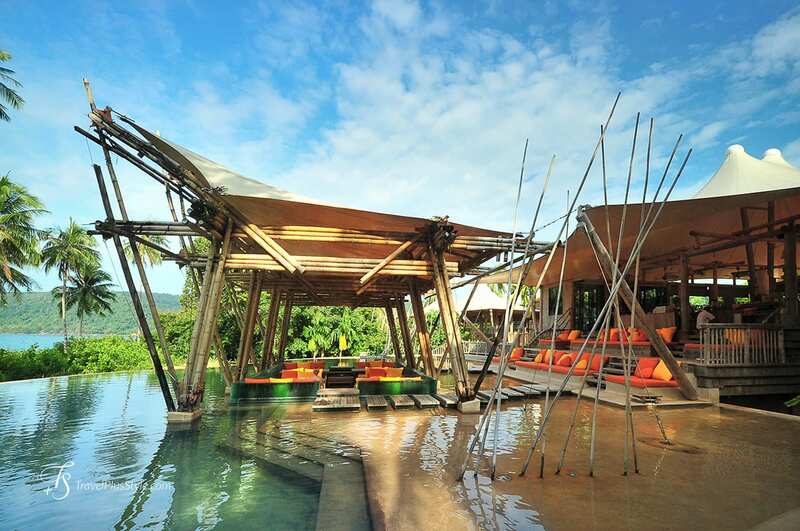 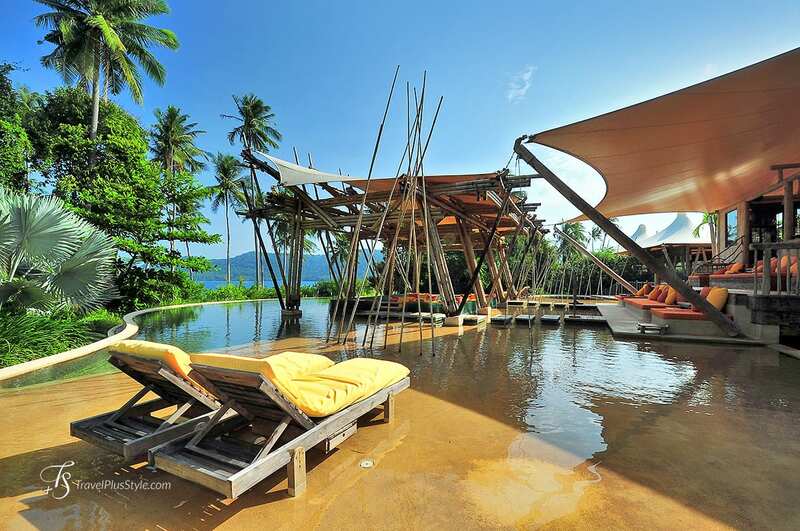 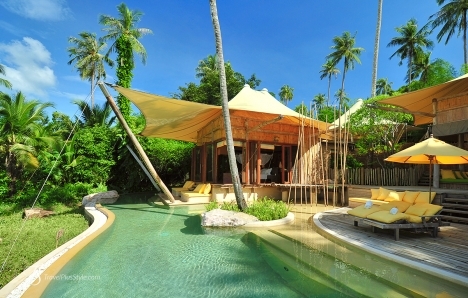 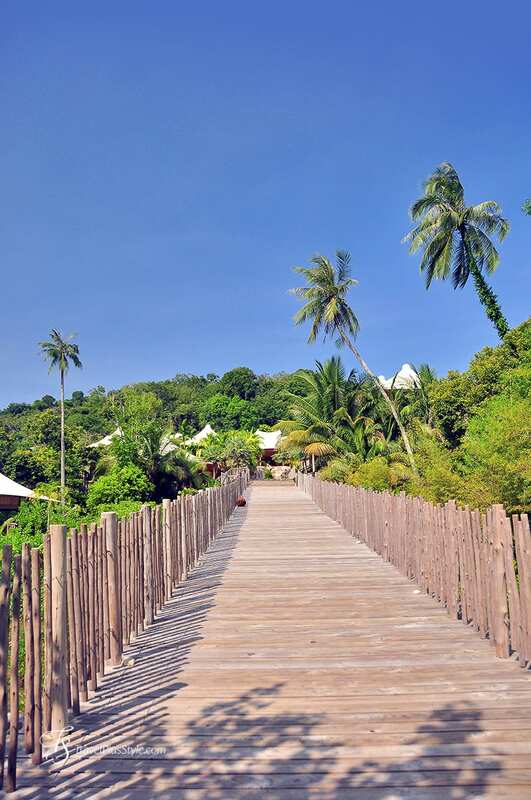 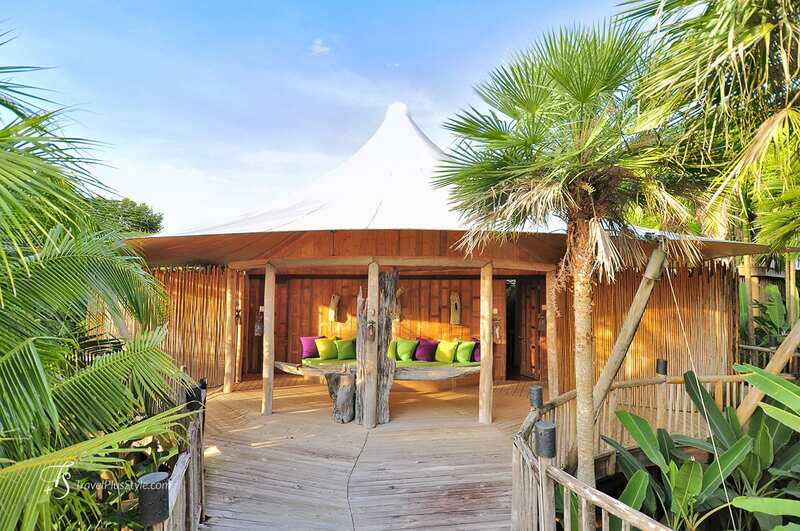 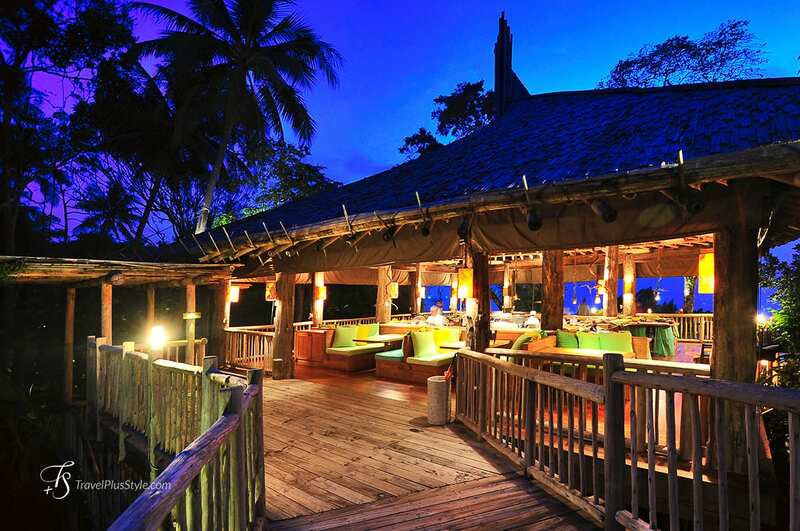 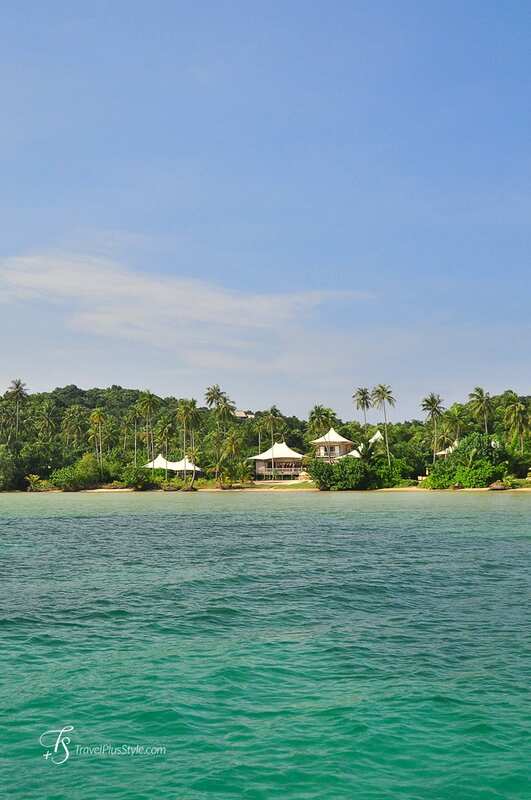 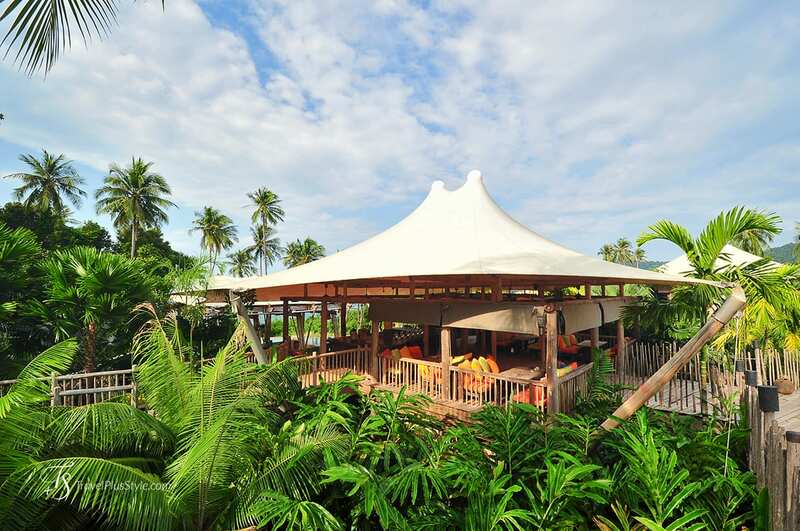 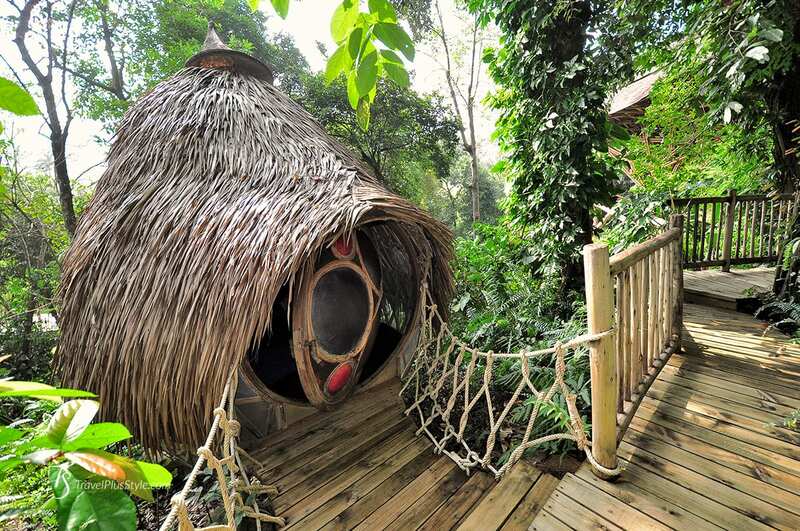 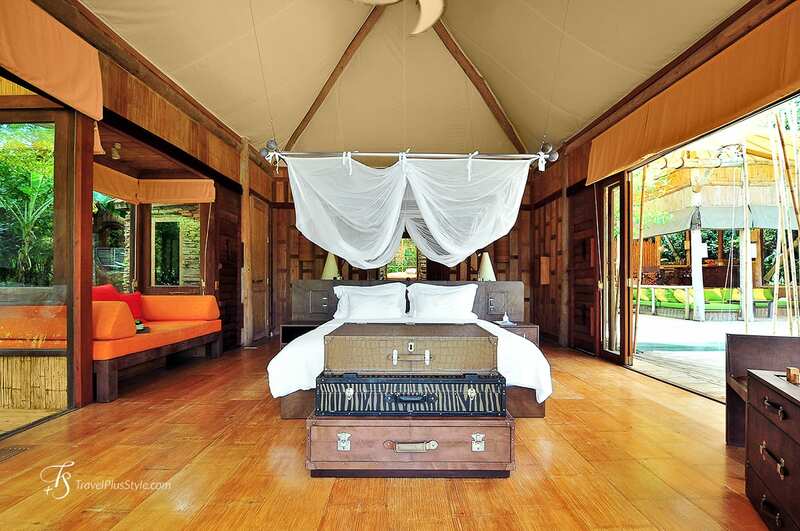 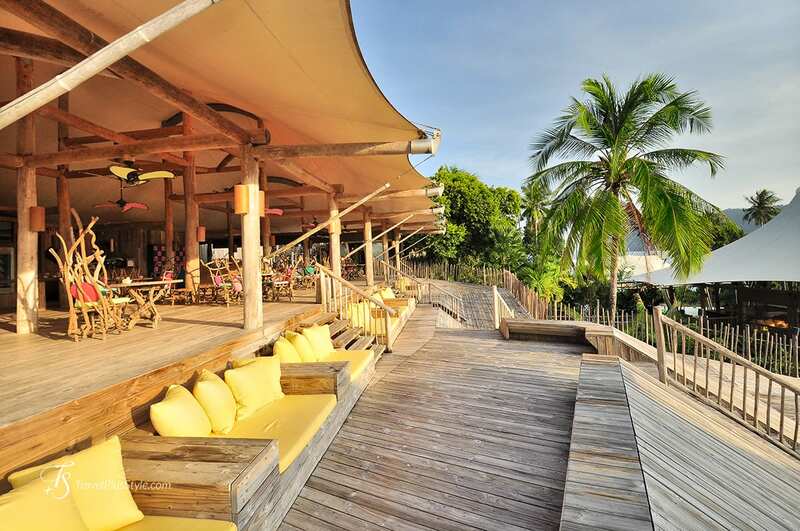 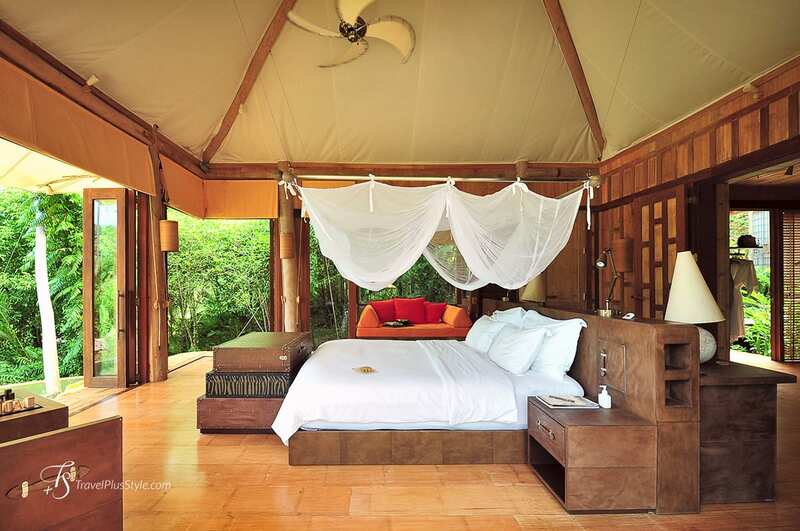 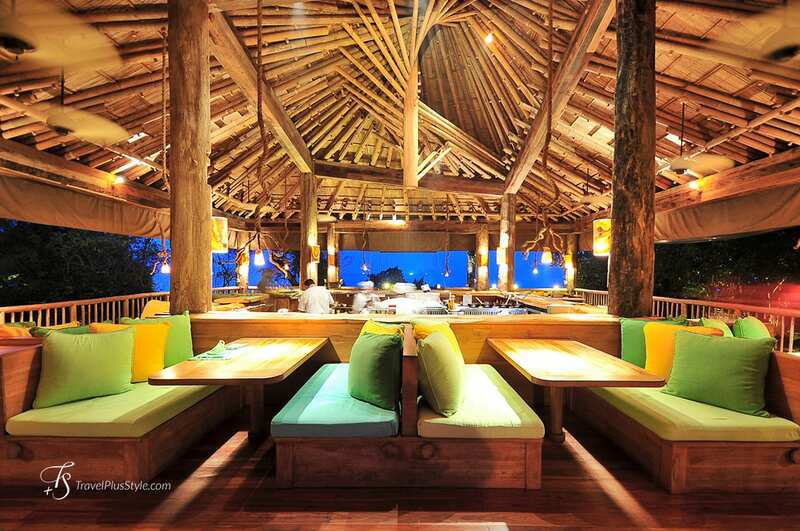 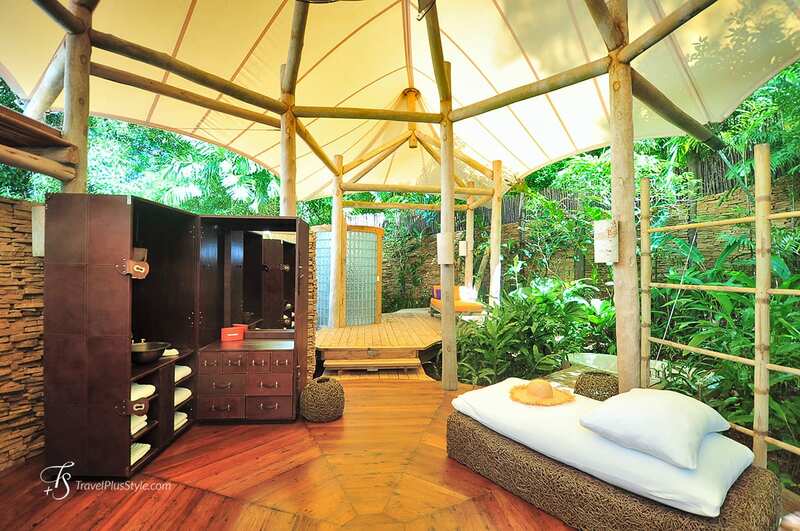 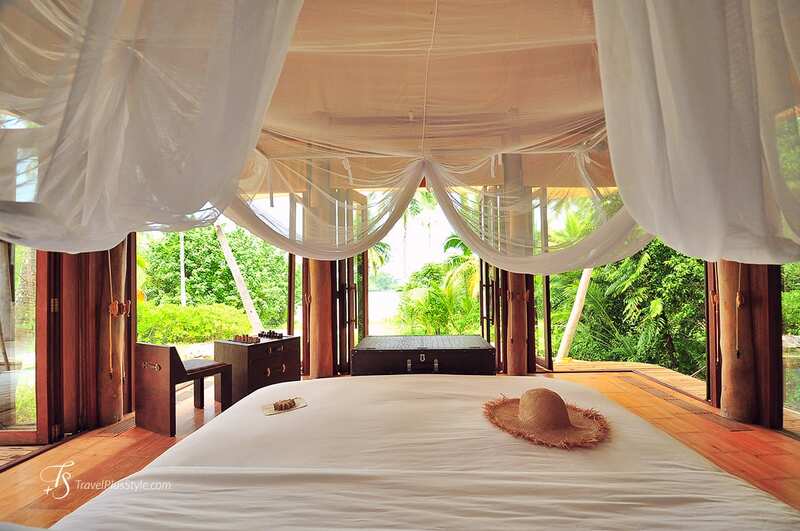 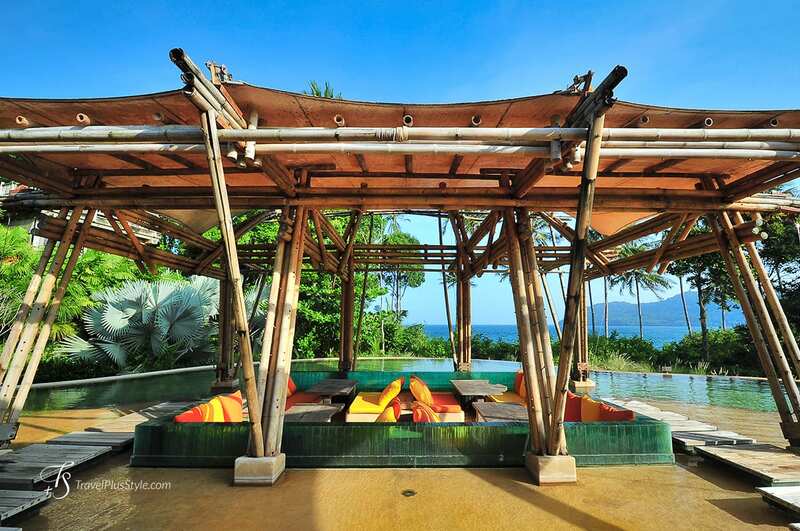 The Soneva's brand of rustic chic luxury takes inspiration from wild nature and adds layers of discreet luxury. 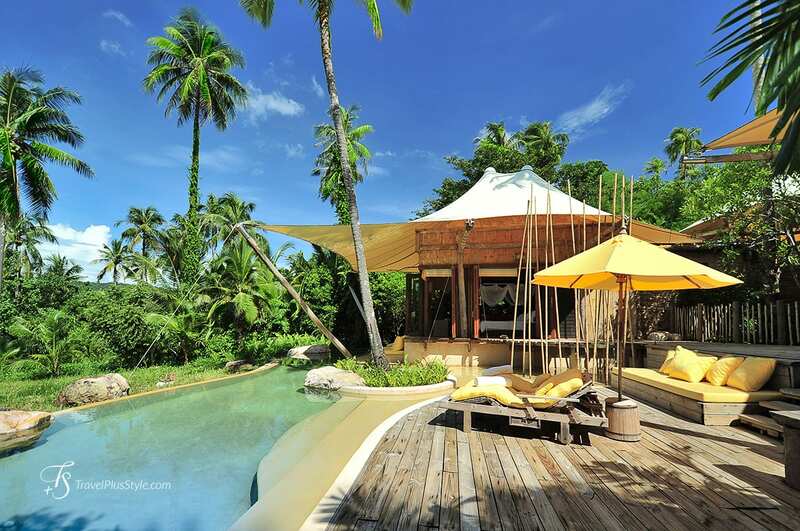 Our beach villa was a gorgeous tropical hideaway—and one of the most beautiful we've ever stayed in. 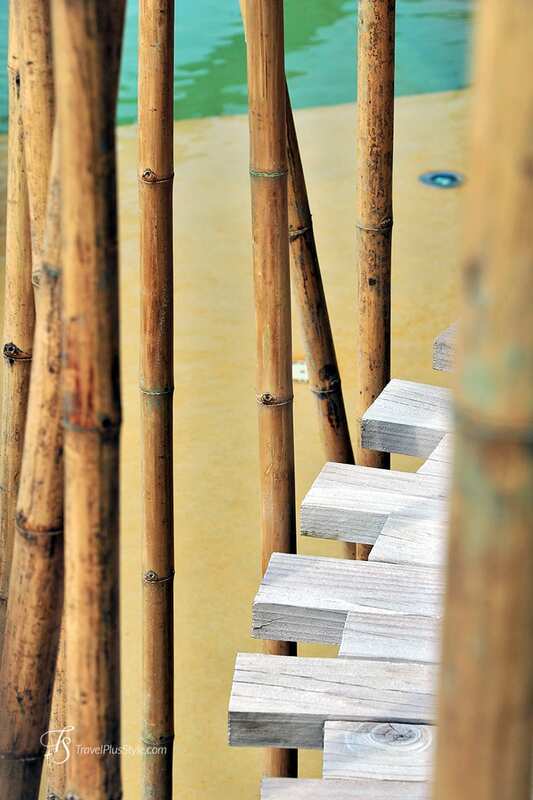 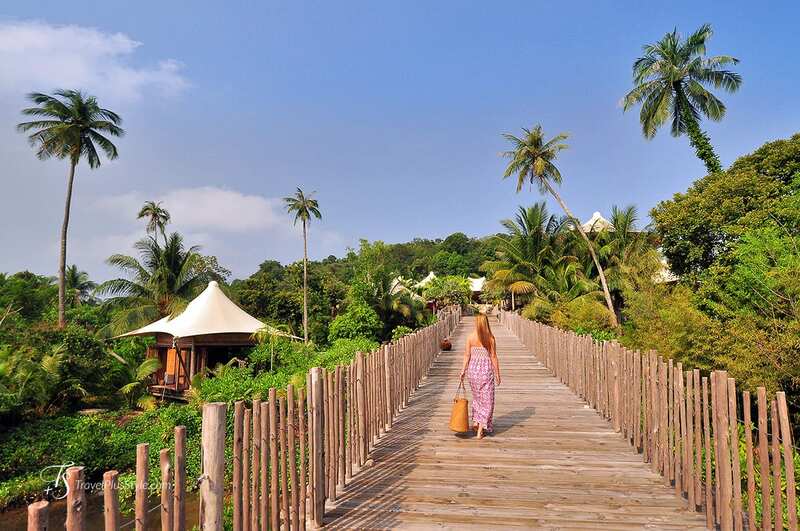 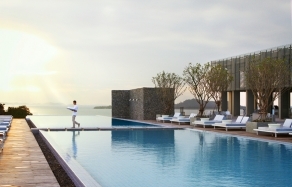 The treatments are superb and the ambience sublime at the Spa, run by Six Senses—one of our favourite spa brands. 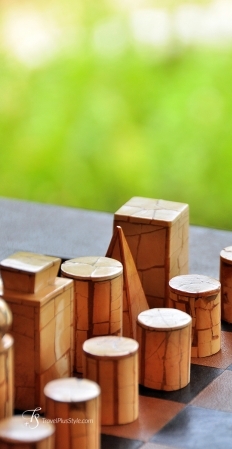 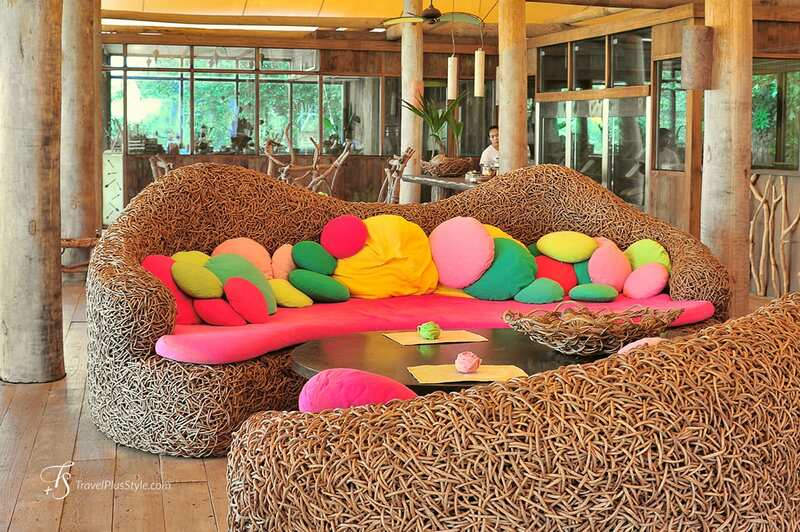 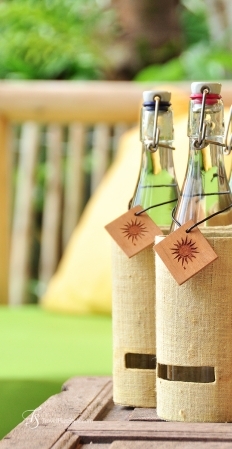 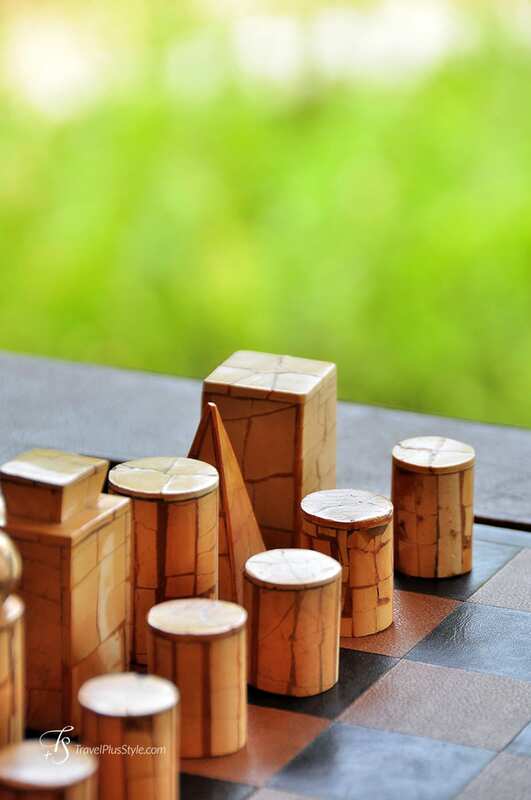 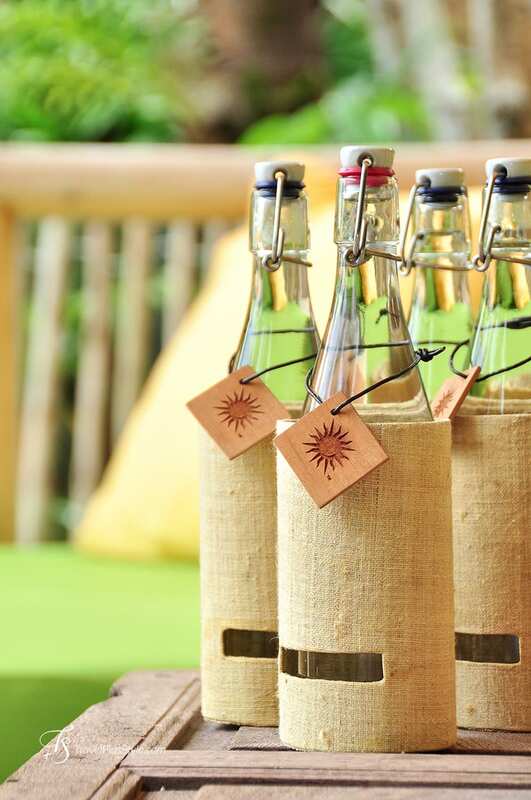 Kiri adds an extra ingredient to its eco-luxury living experience: unique, quirky ideas that make a stay at the resort truly one of a kind. 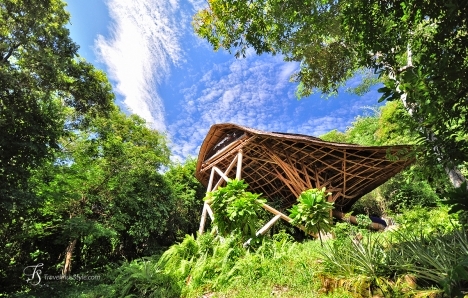 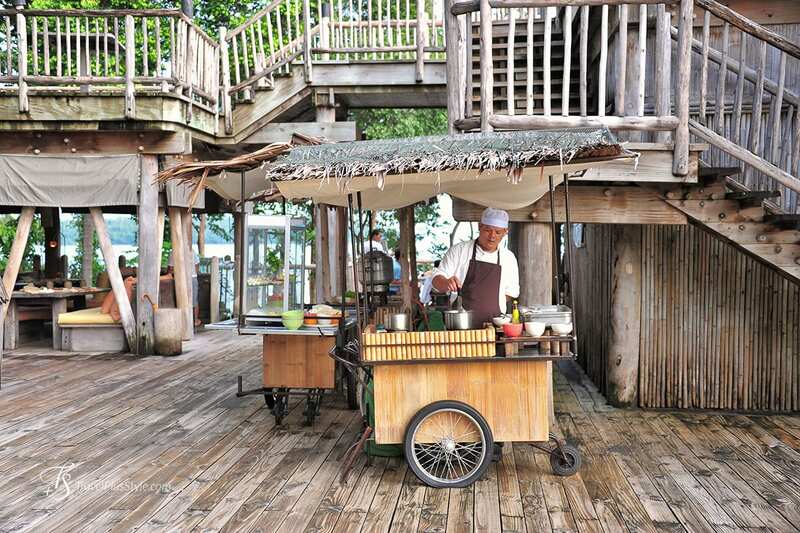 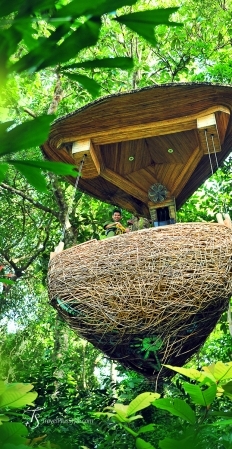 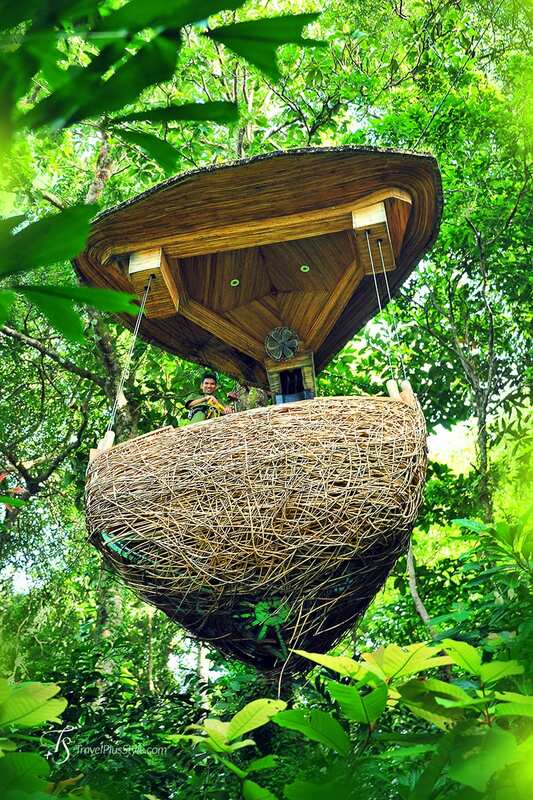 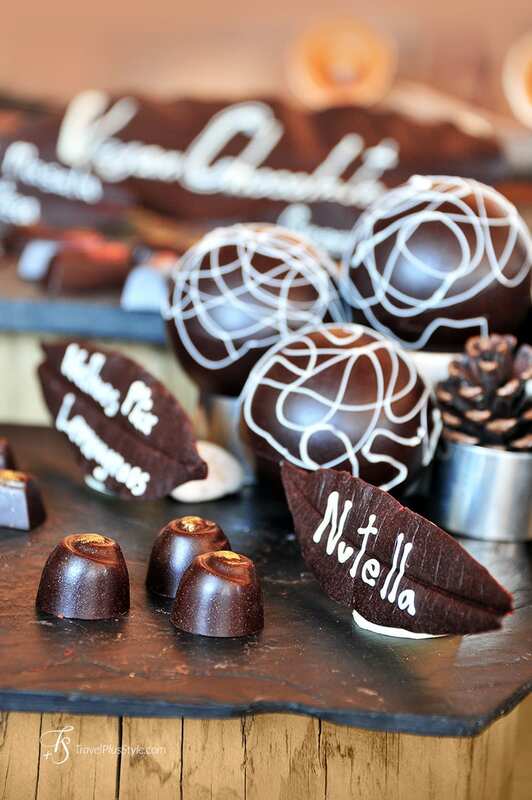 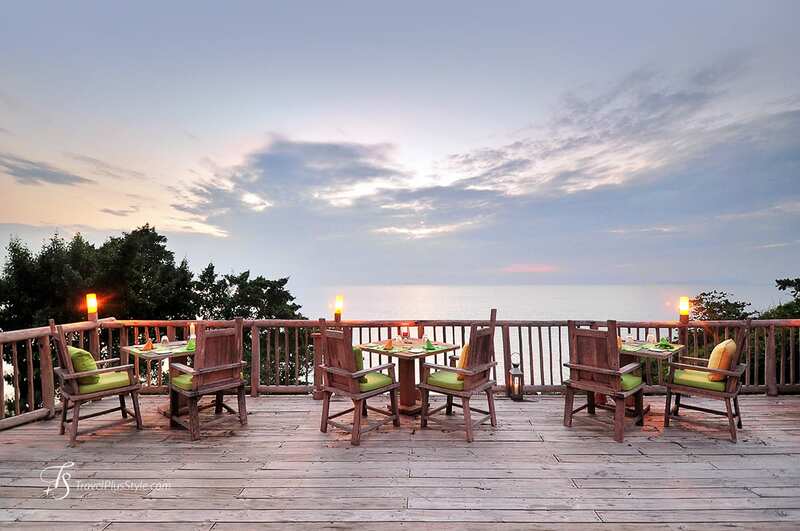 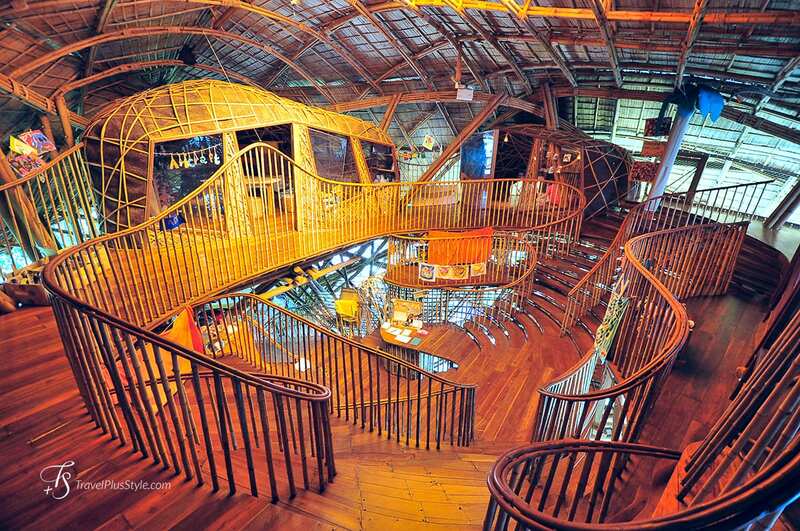 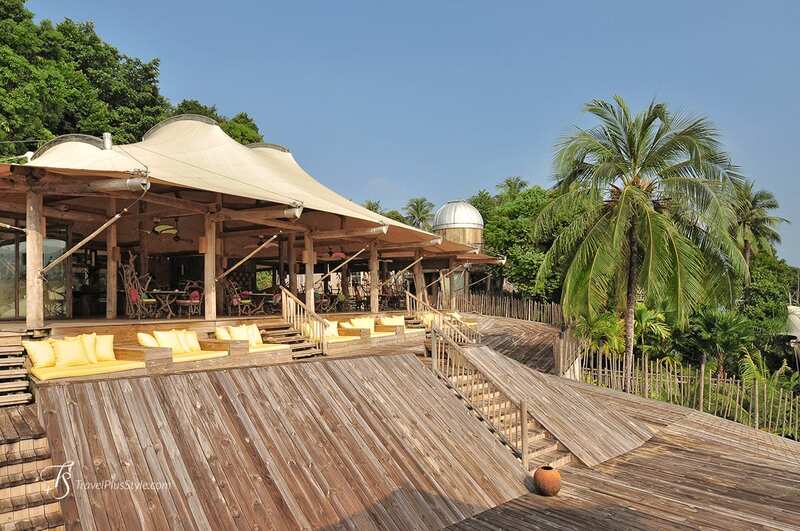 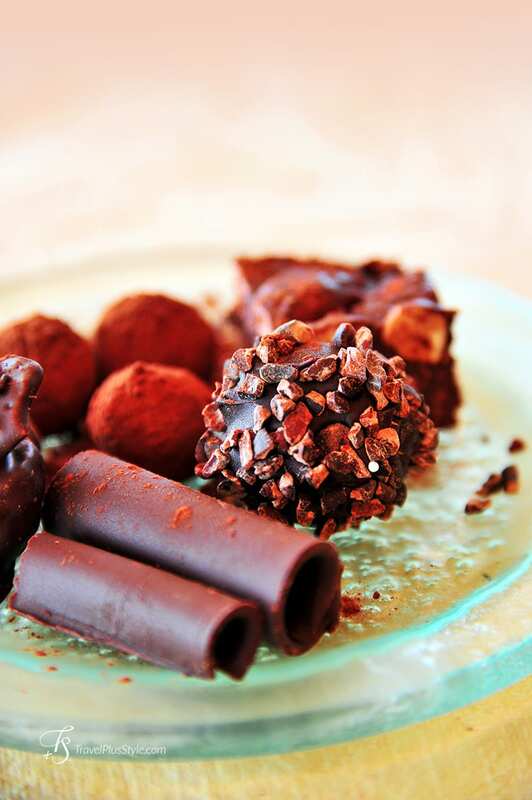 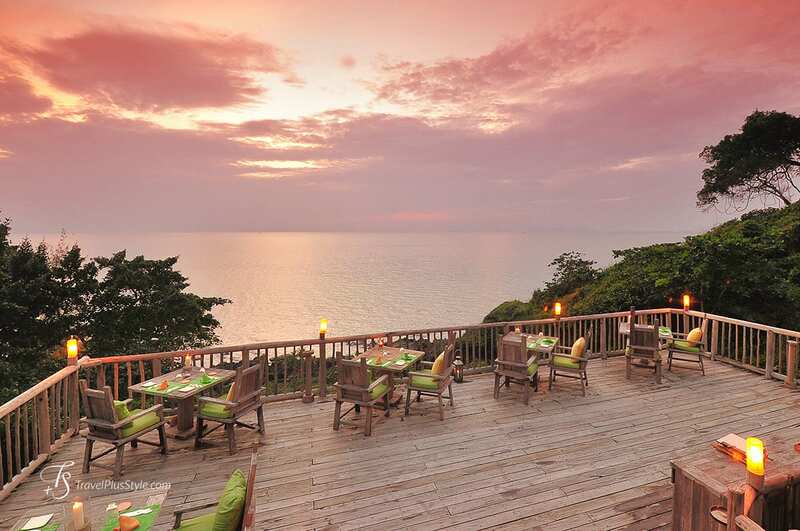 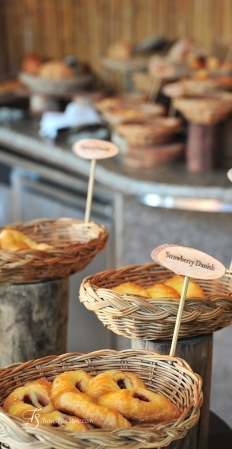 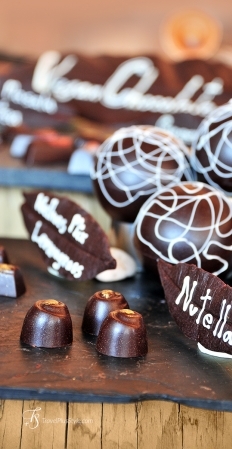 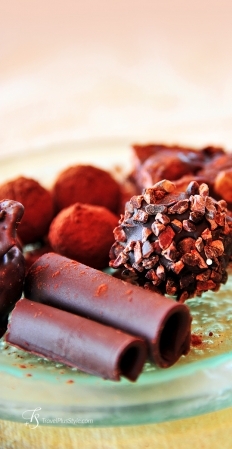 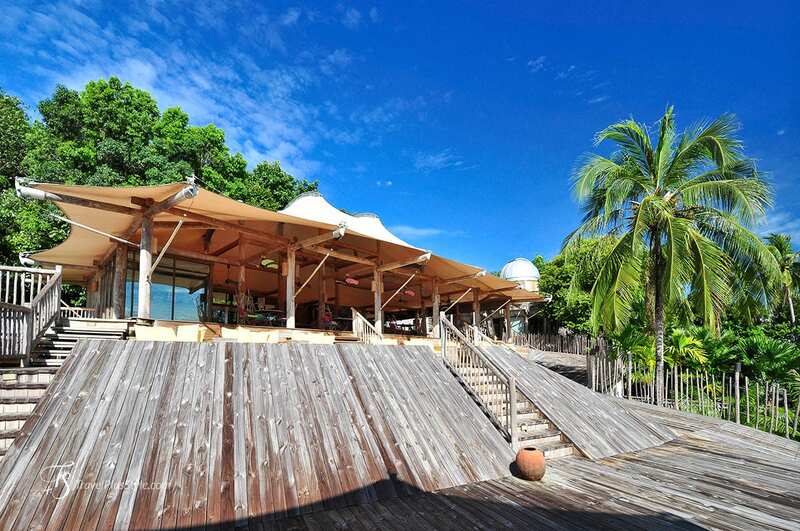 Tree-top dining: this is a must-try. 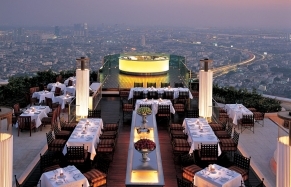 Where else will your waiter sport a climbing harness? 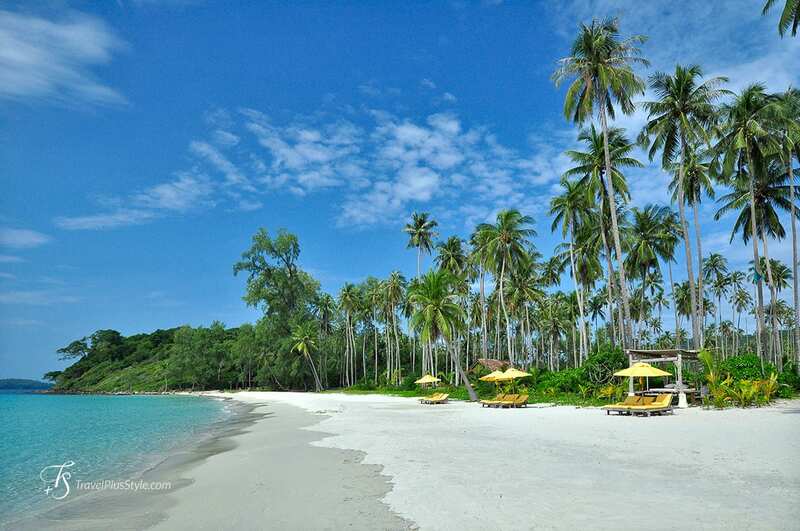 The resort's beach is fantastic. 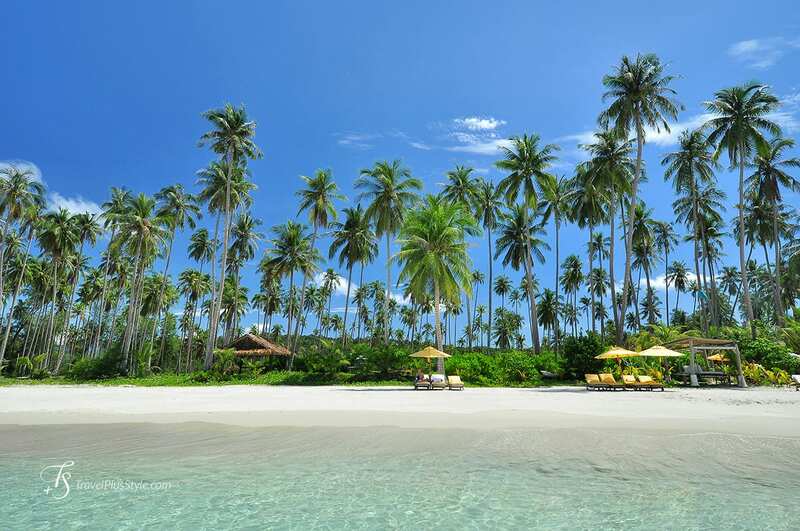 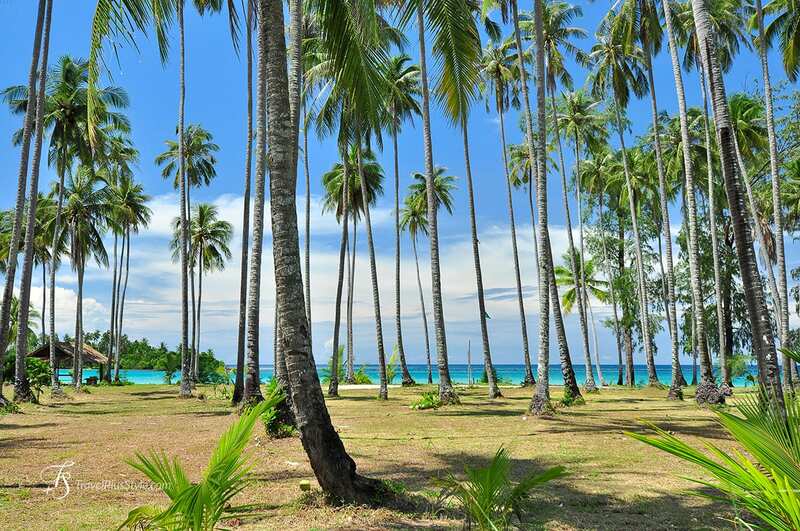 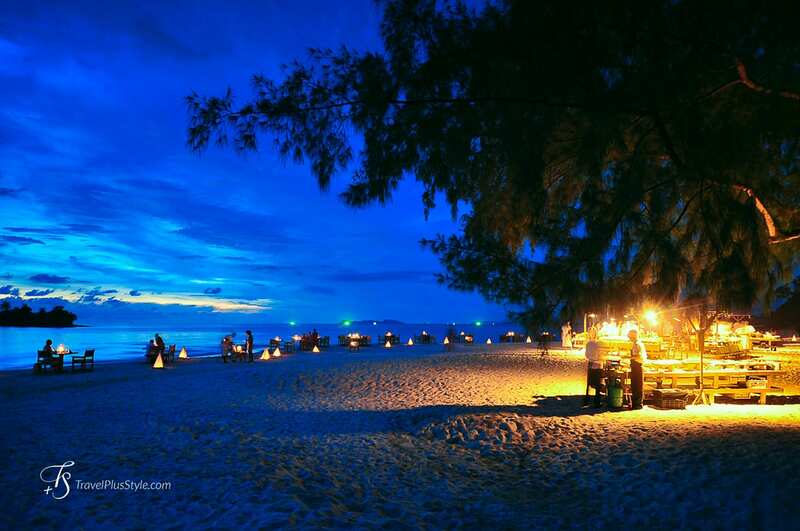 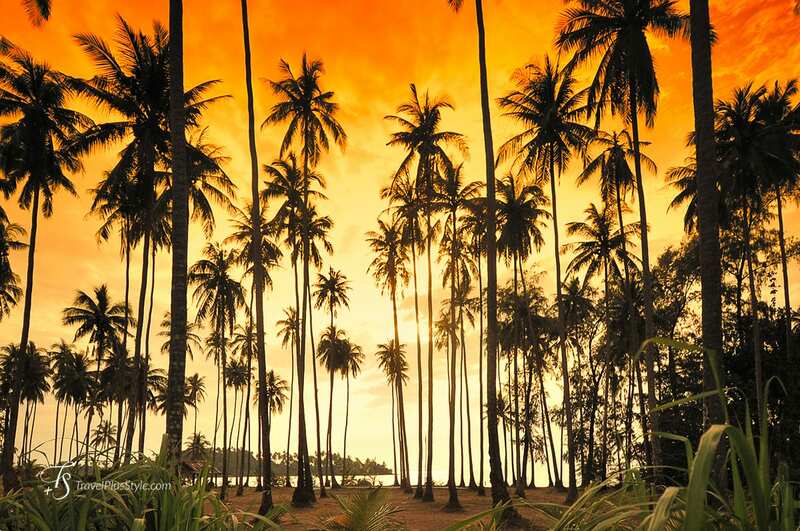 It has a large swath of white sand, flanked by a forest of tall palms. 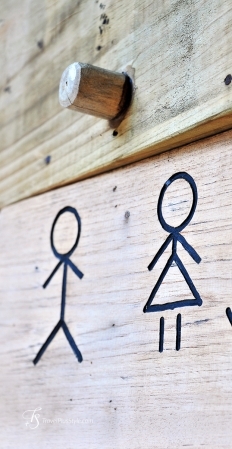 The no news no shoes concept is not just on paper. 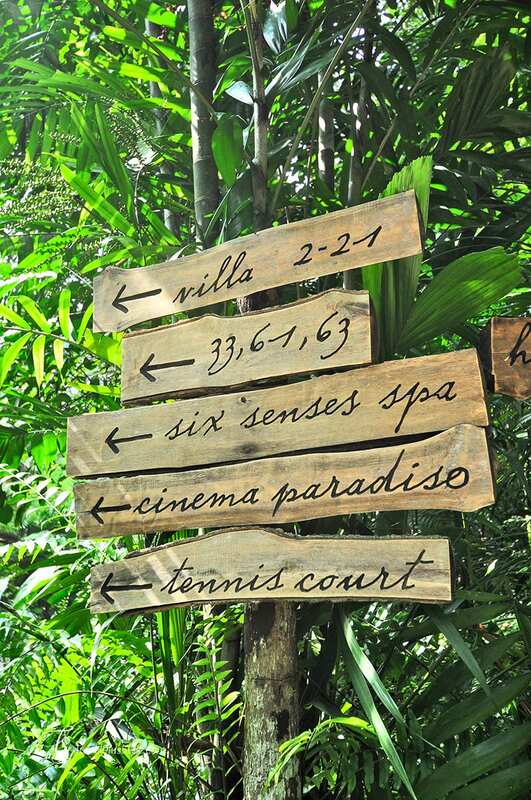 We went barefoot for the entire stay—and loved it. 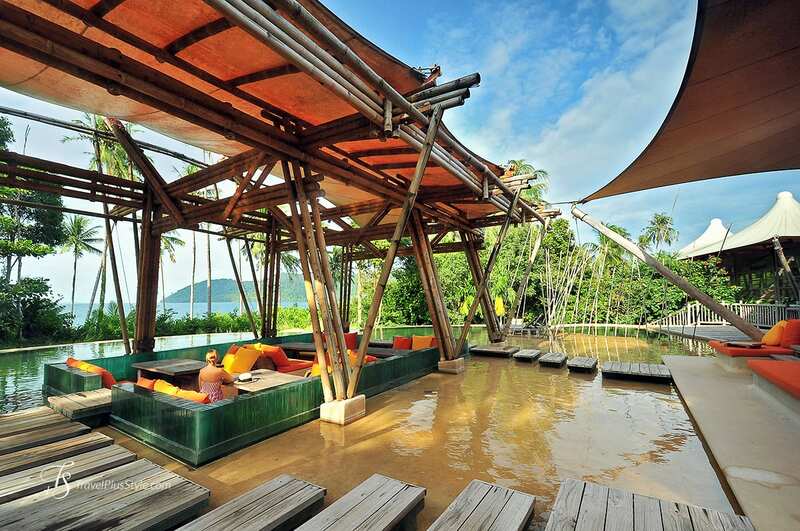 This resort is the right kind of place to completely unplug from reality. 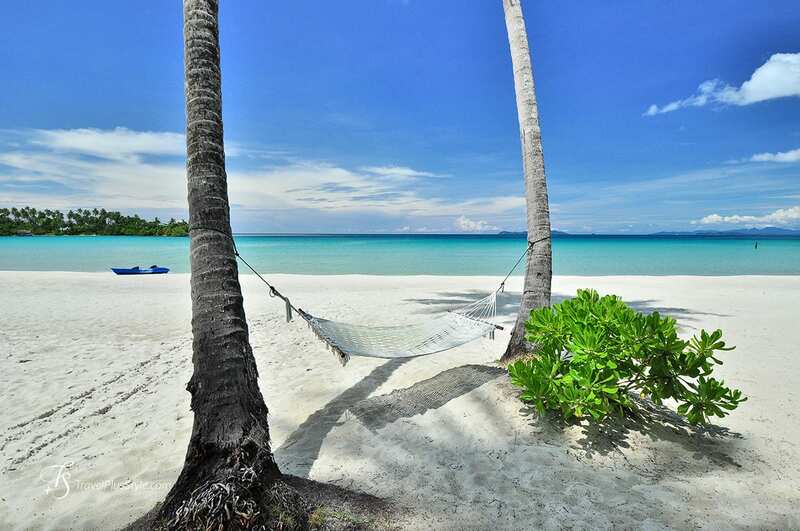 Time seem to slow down here. 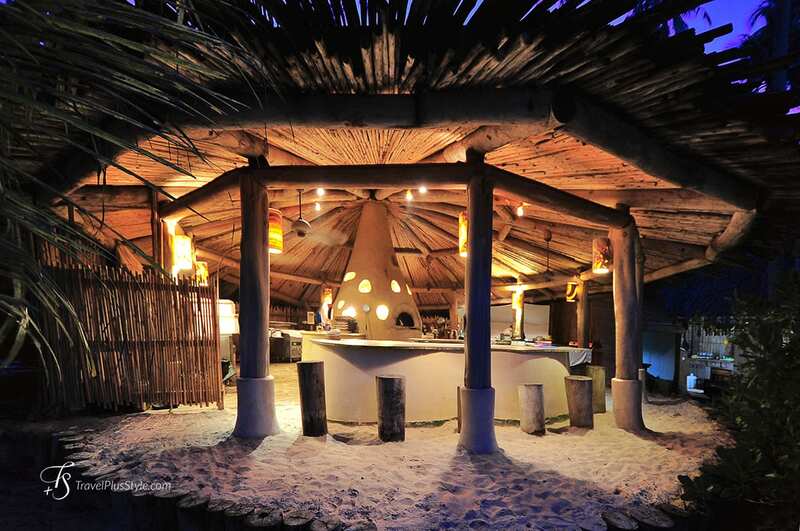 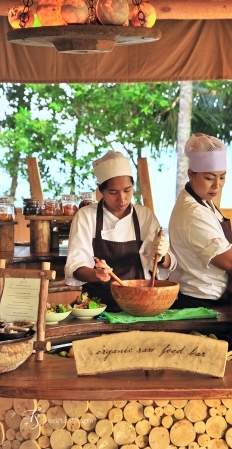 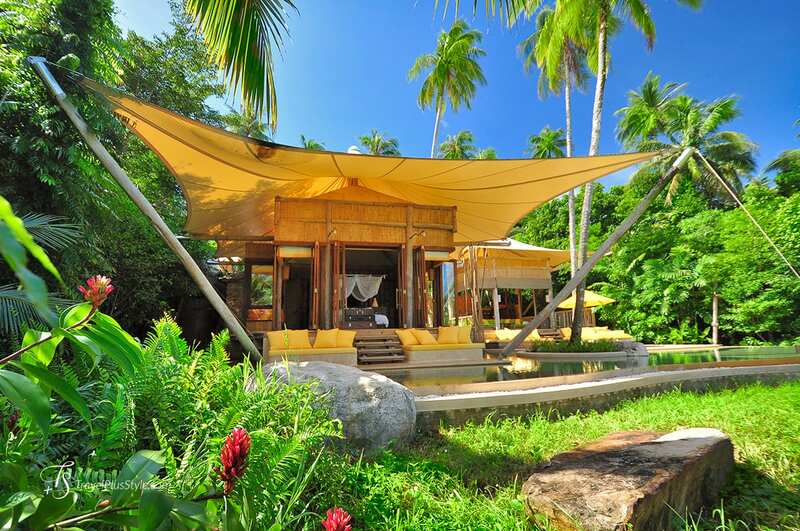 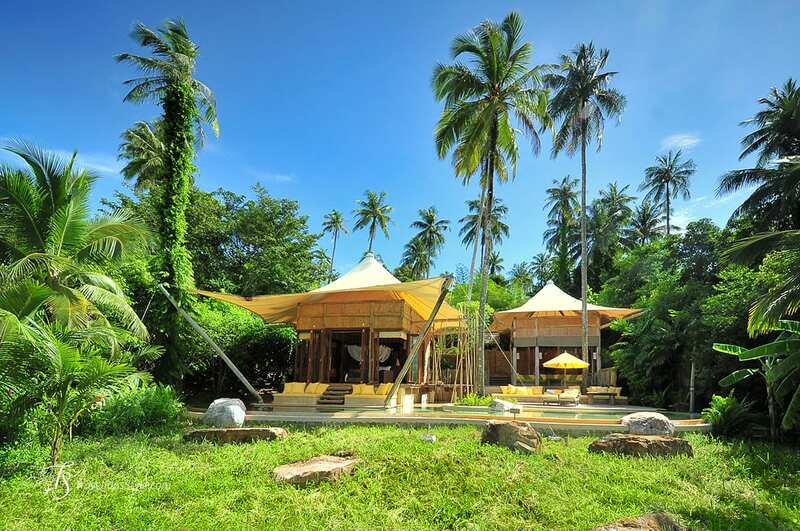 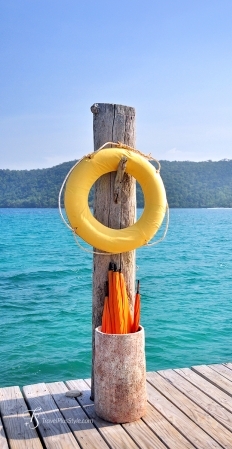 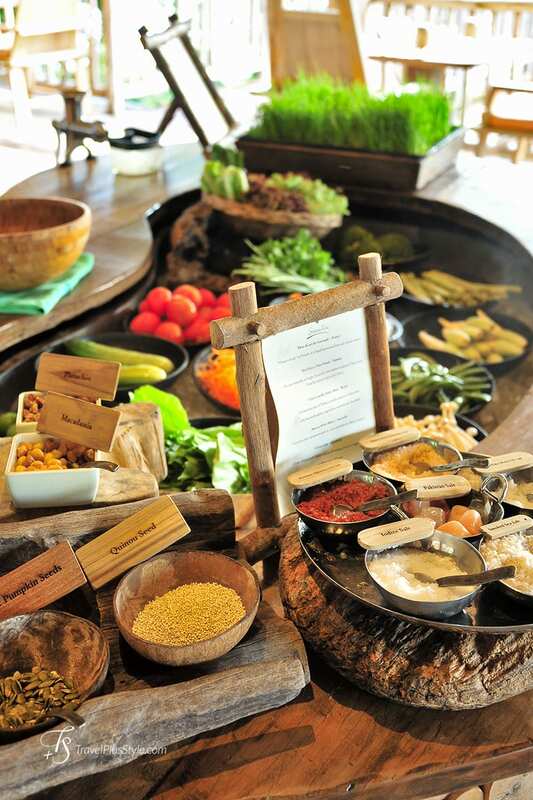 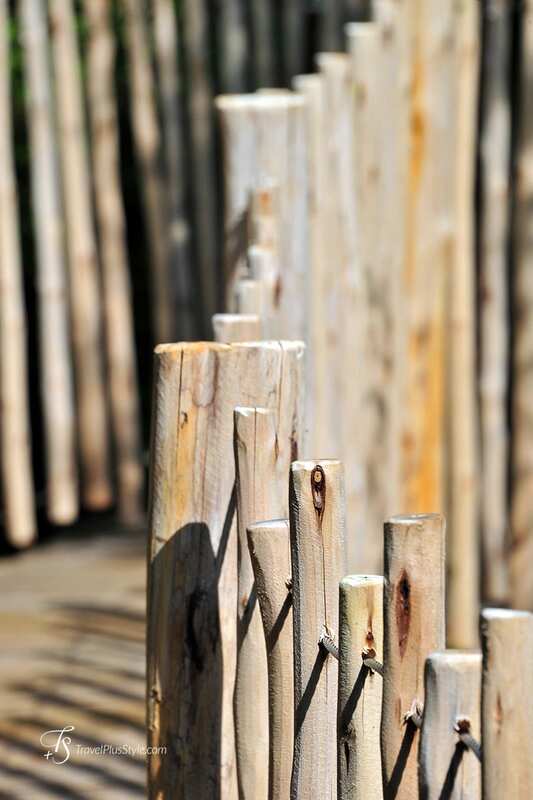 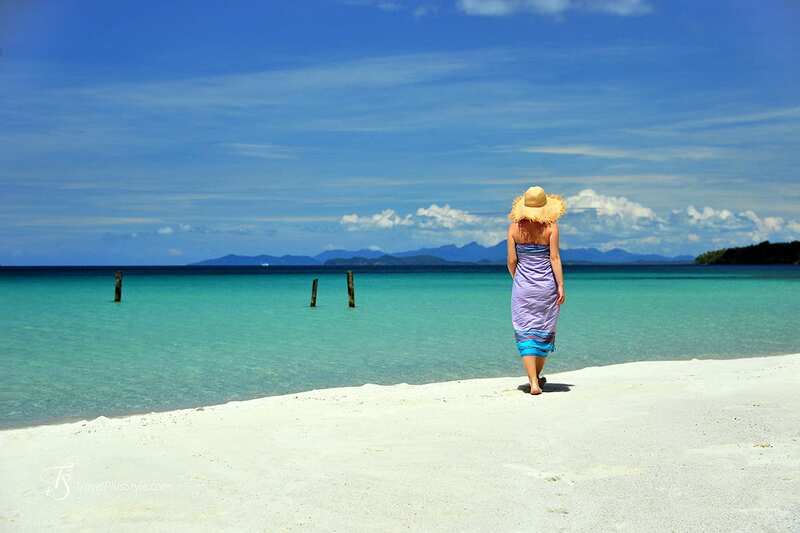 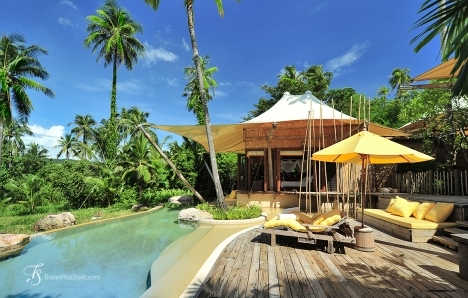 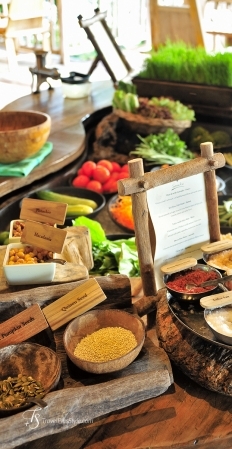 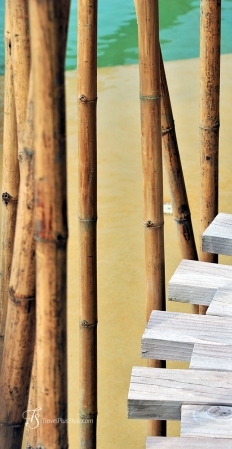 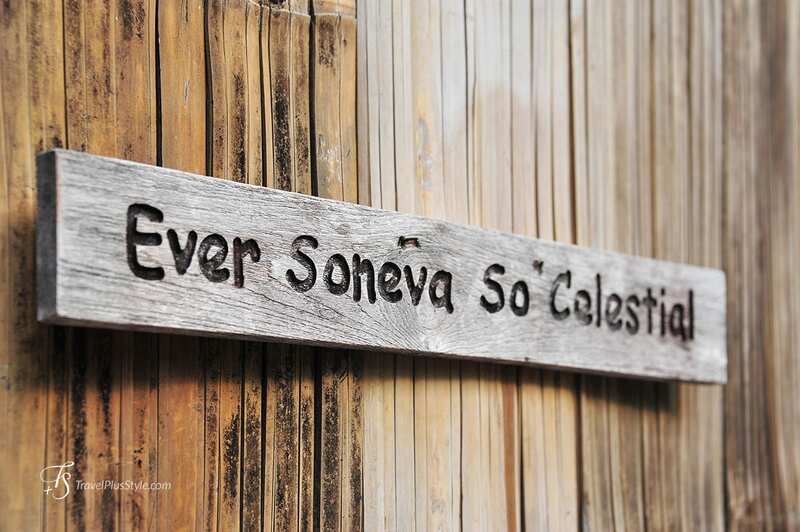 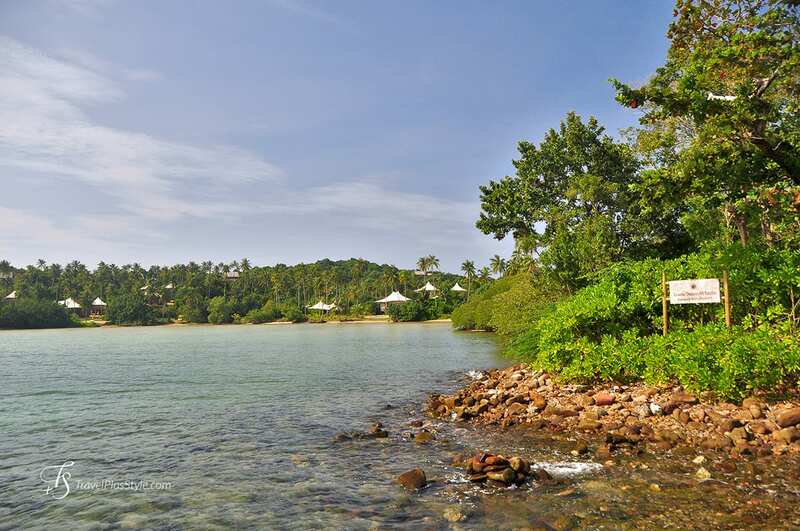 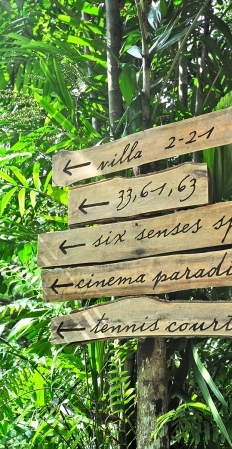 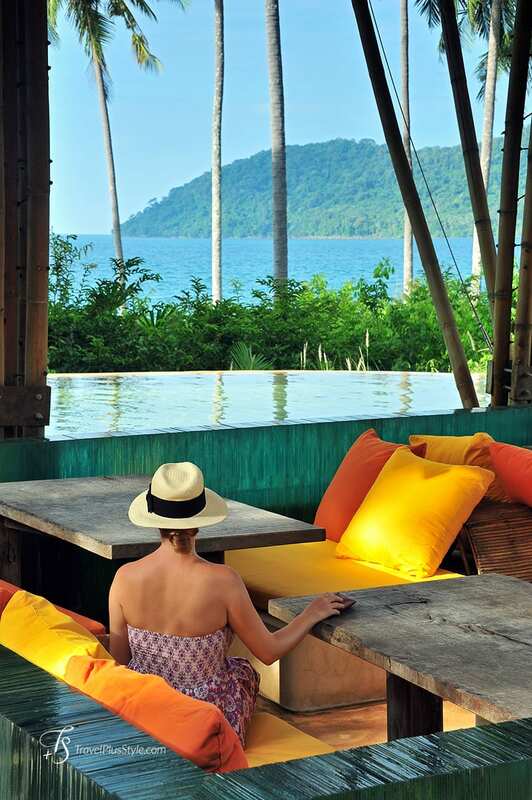 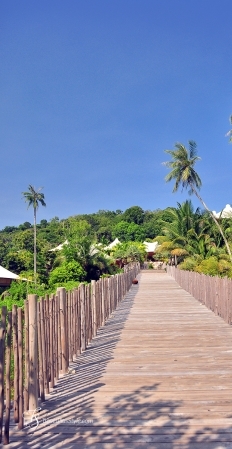 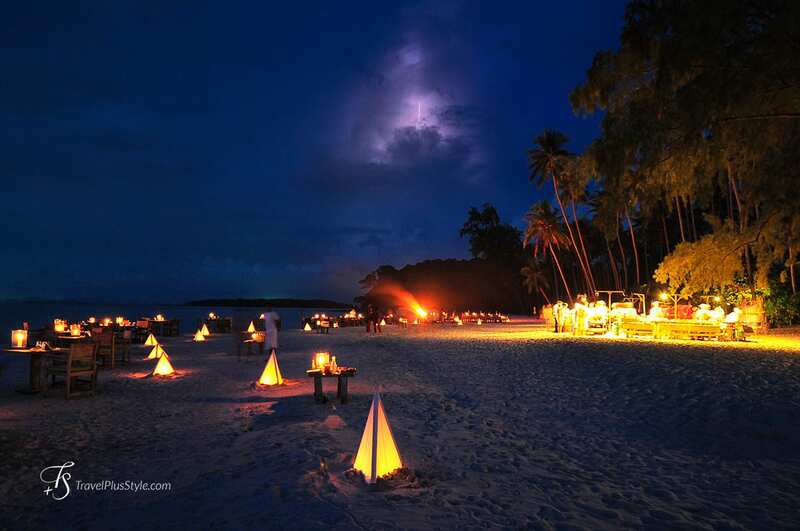 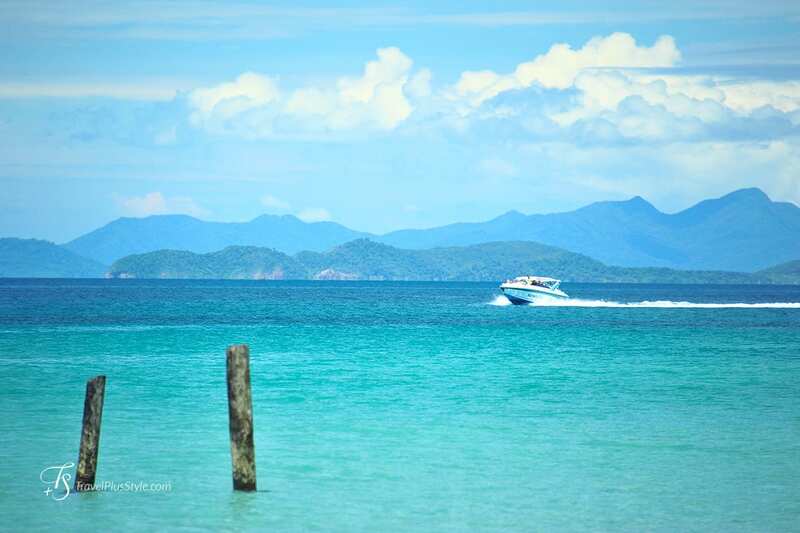 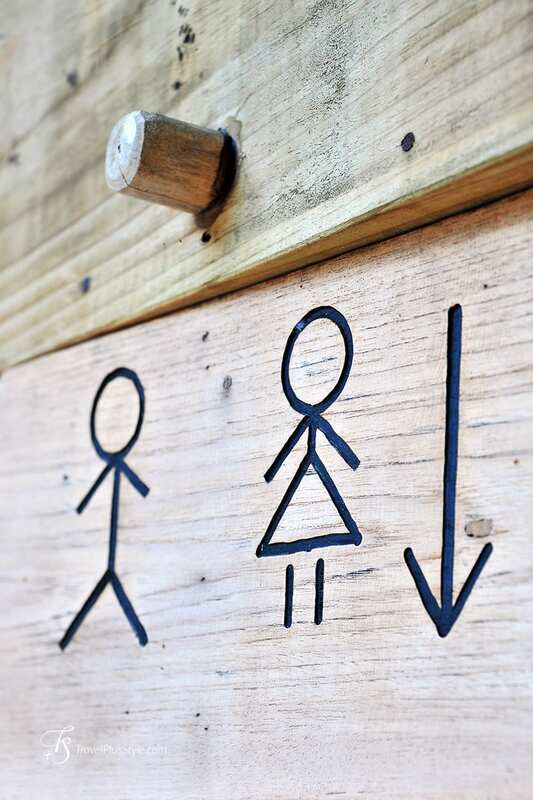 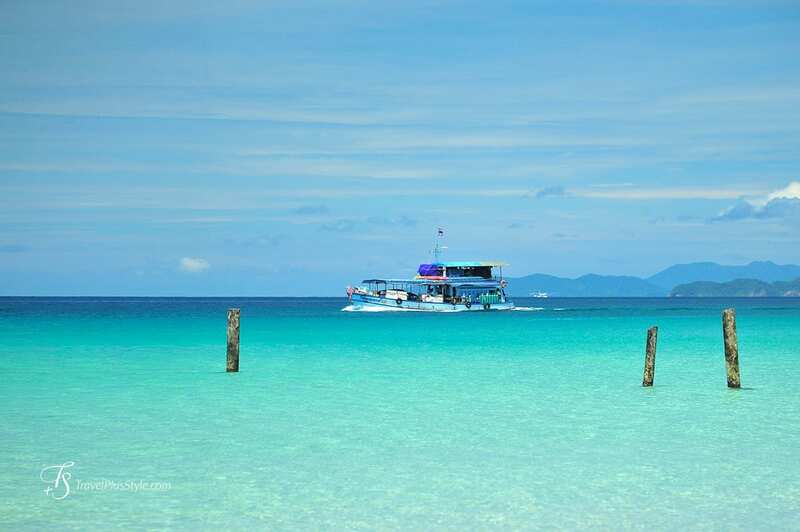 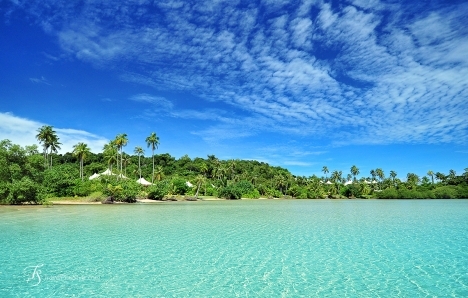 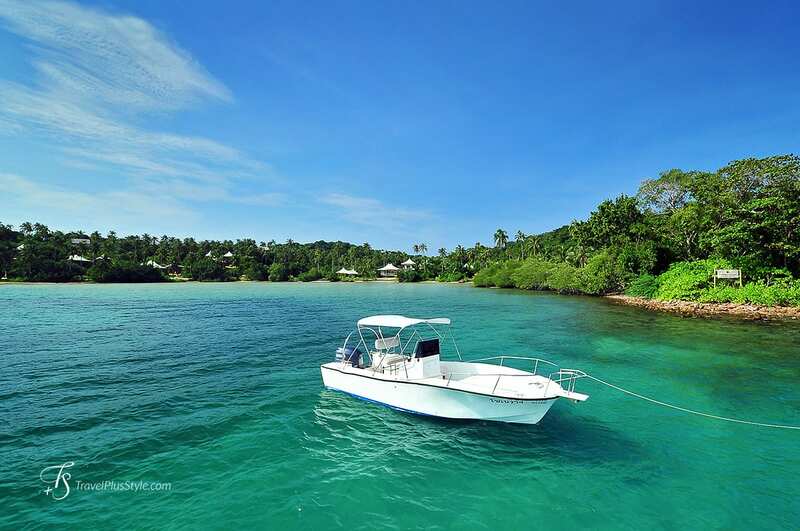 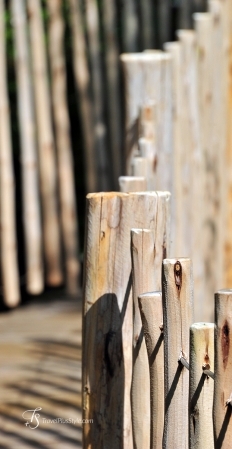 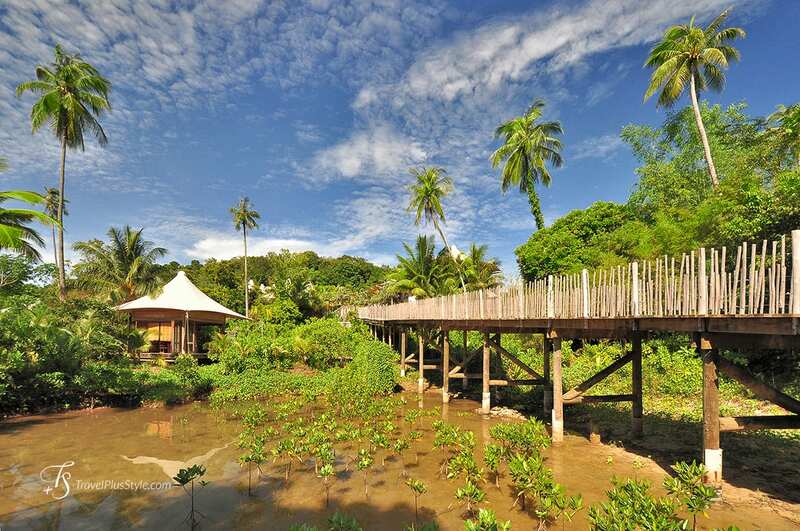 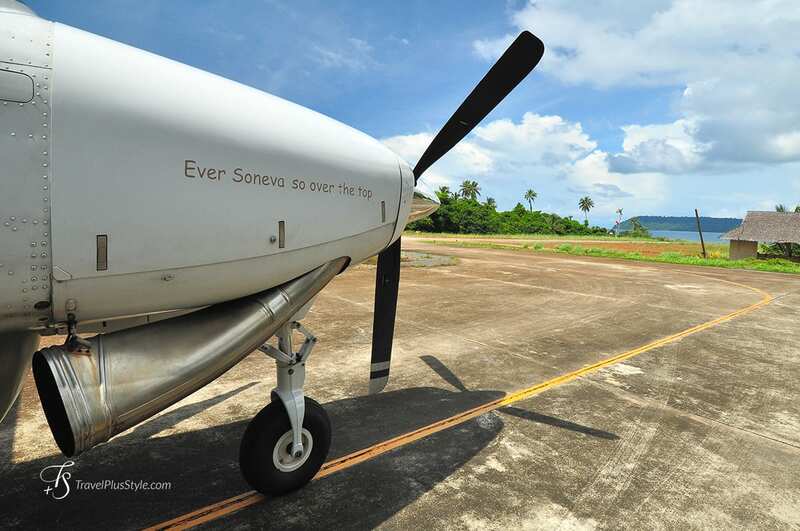 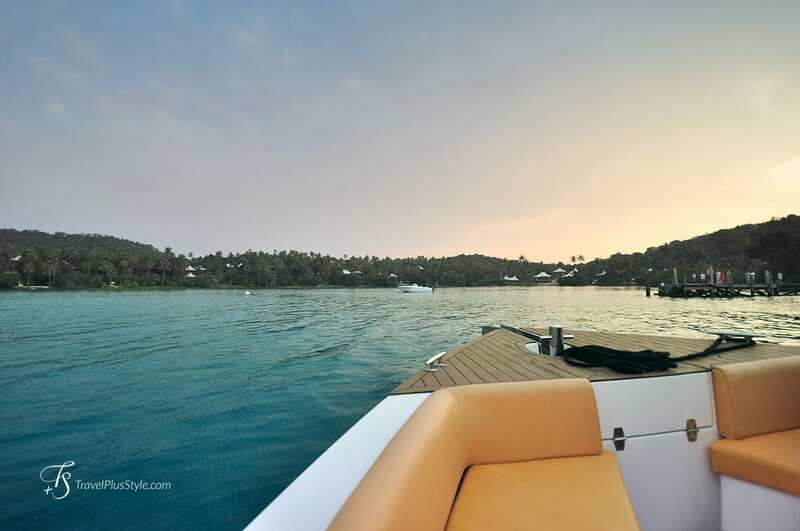 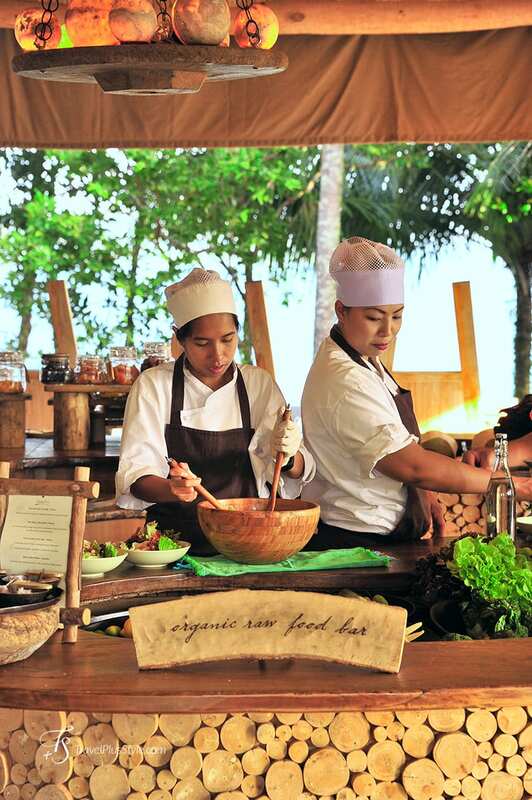 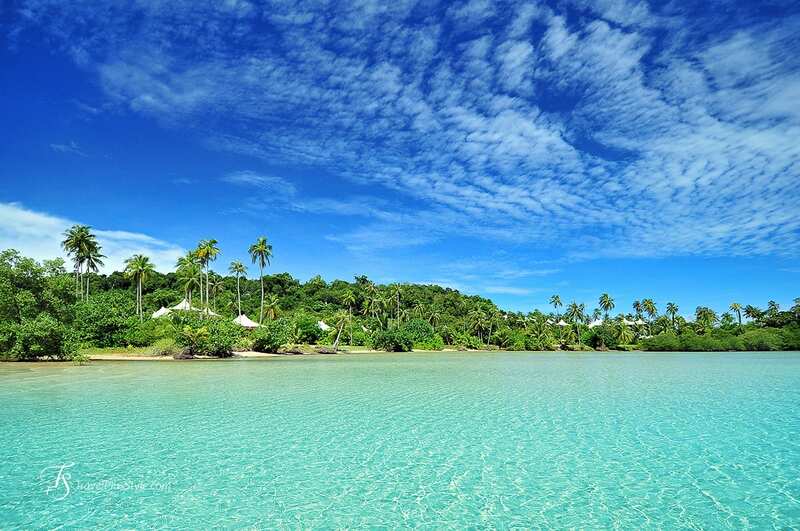 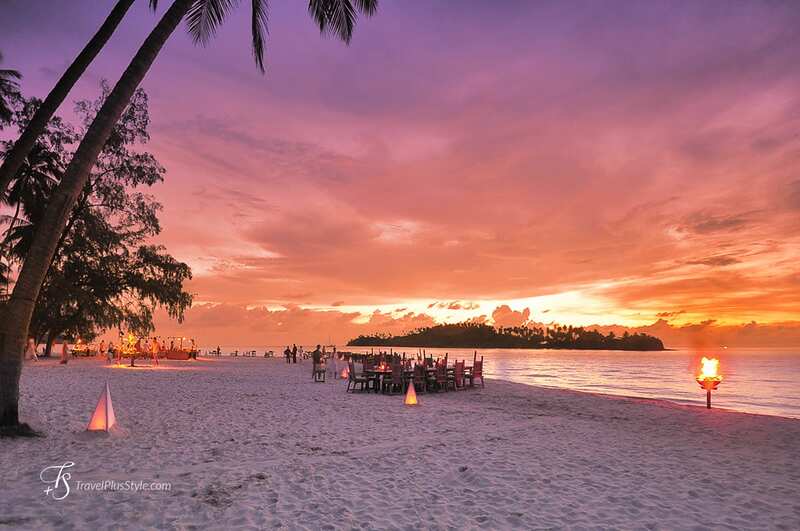 Even Soneva Kiri's guiding principles are called SLOW LIFE. 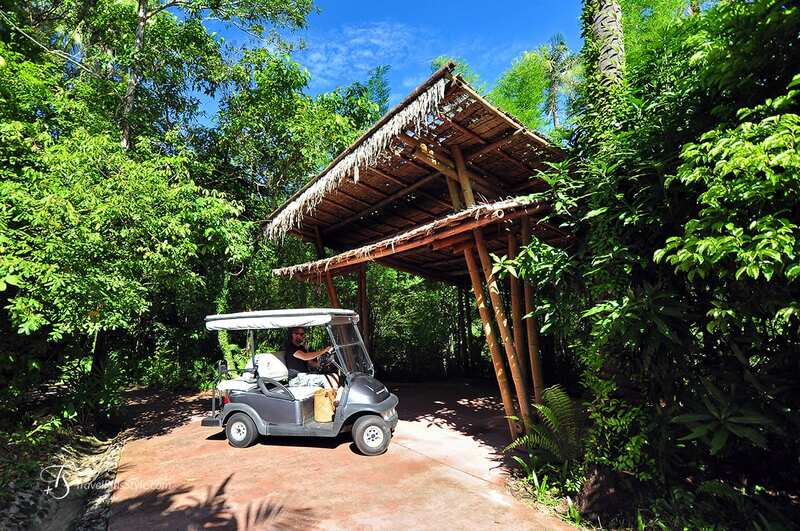 We loved our own electric buggy to ride about—it's tons of fun! 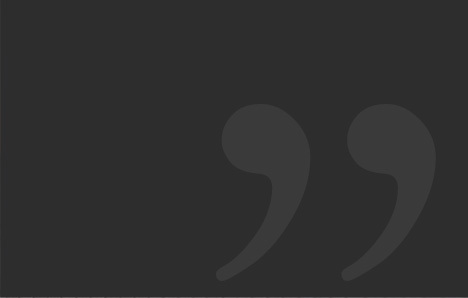 Plus, it made us feel independent. 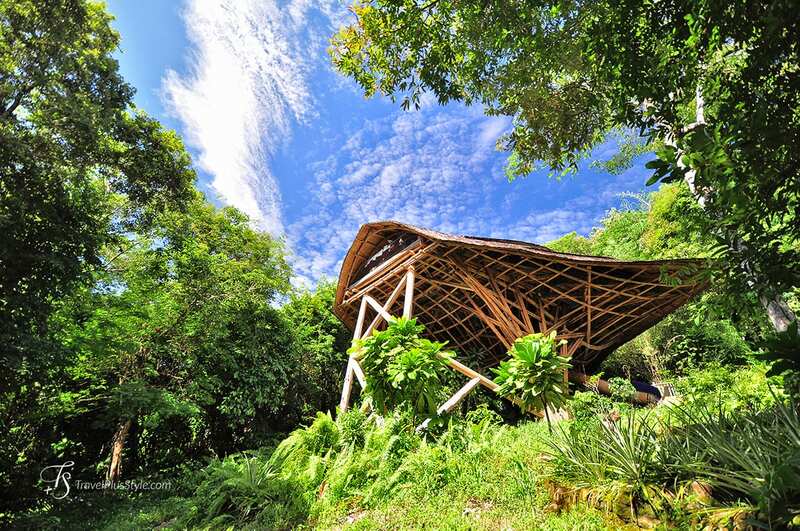 Kiri's approach to design creates a place that seem to have spontaneously sprung up from the ground, amid tropical foliage. 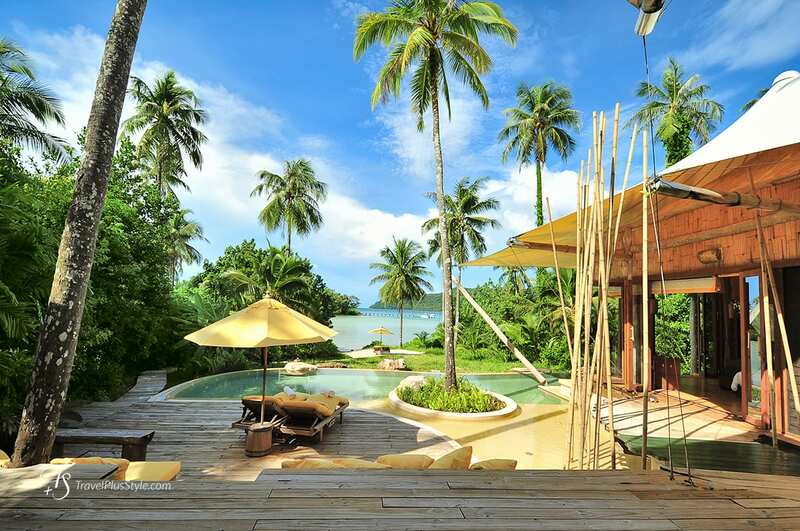 This was one of the best hotel stays we've ever experienced—we don't hesitate in awarding Soneva Kiri with the Editor's Pick. 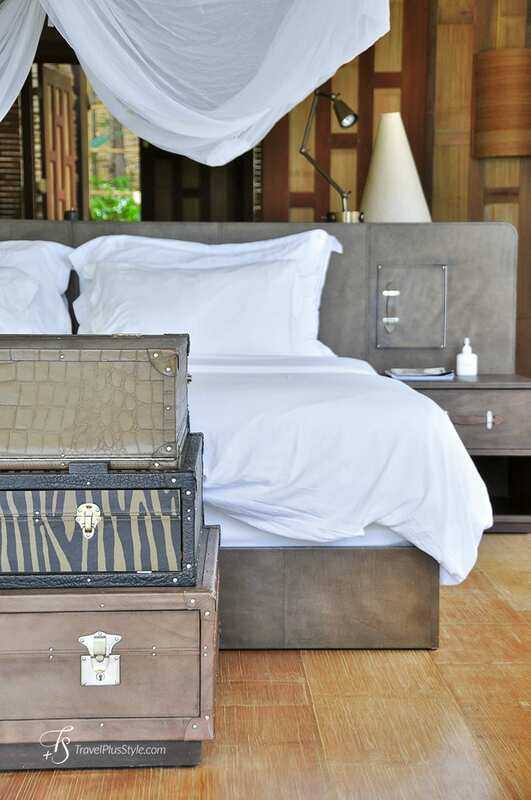 No two guest villas are alike, but all share the same effortless design quality and are always sumptuously spacious and private. 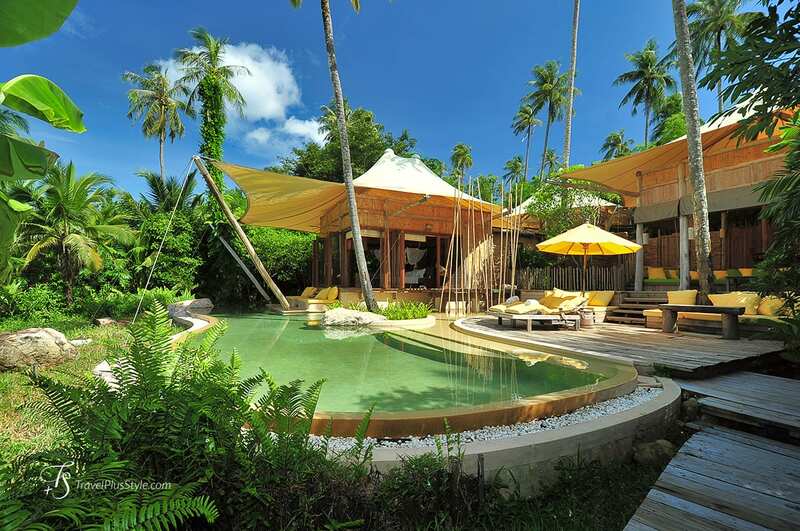 Our beach villa was the kind of place we never wanted to leave.